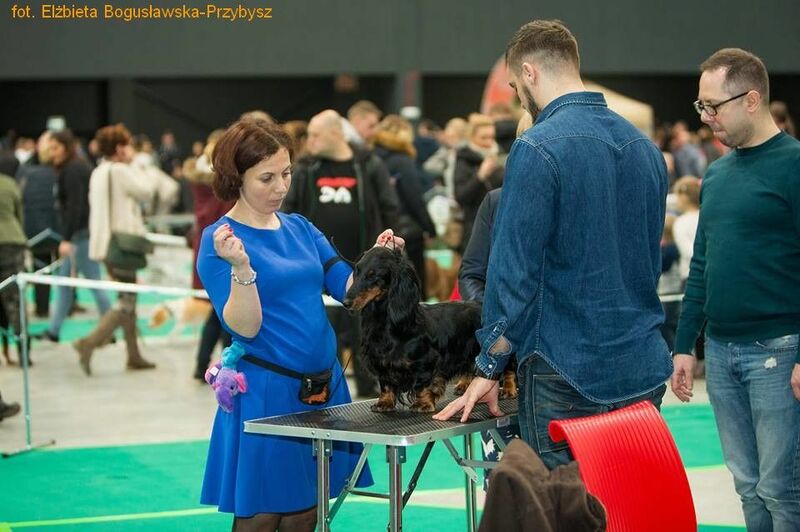 22.01.2019r. 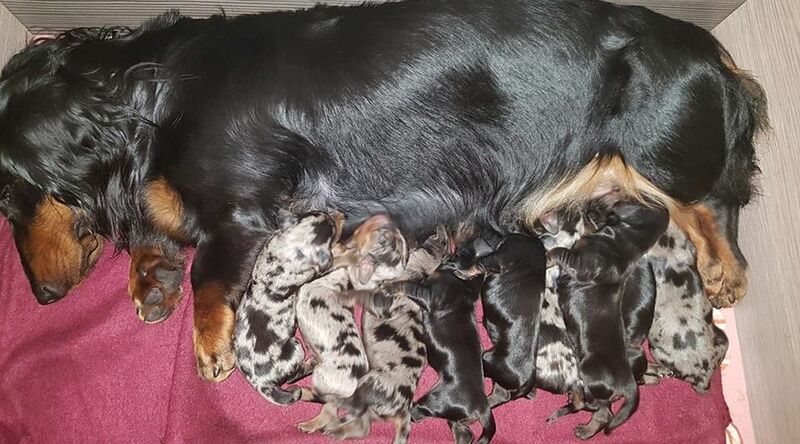 WE HAVE PUPPIES Litter "R"
11.09.2018r. 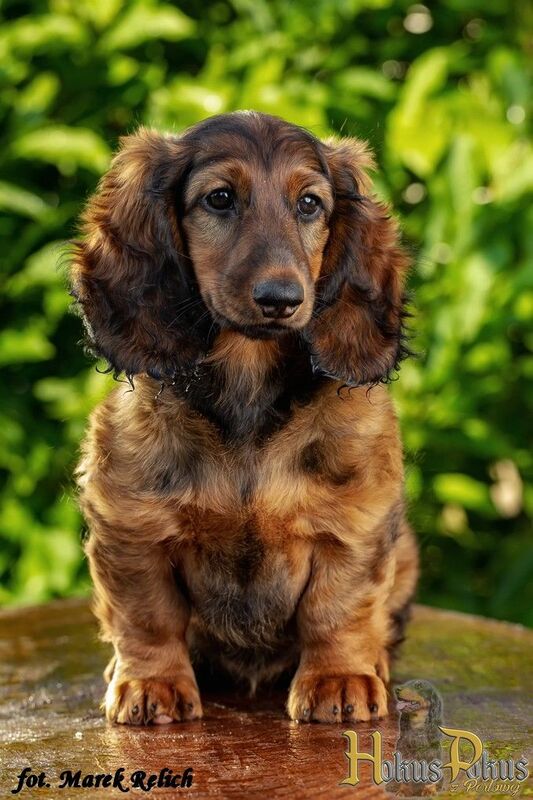 Female O'HARA SCARLETTE is still waiting for her new home. 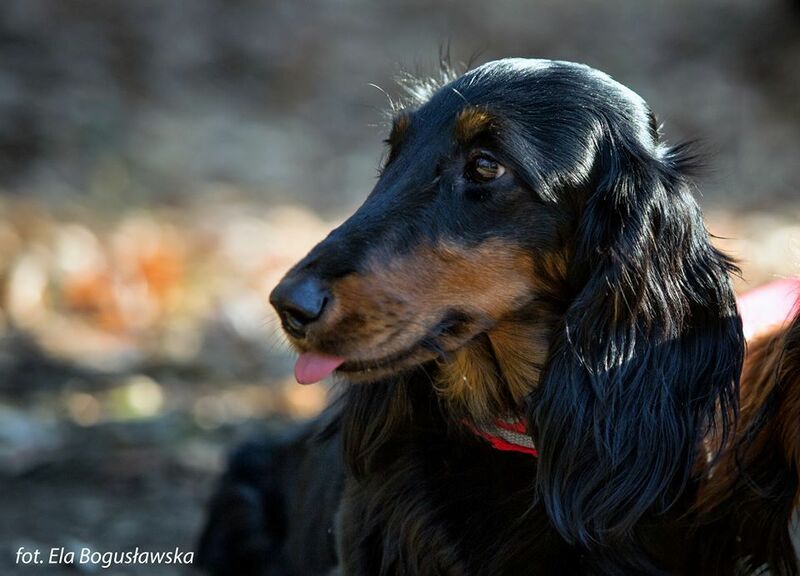 The girl has a wonderful character, she is outside trained, walking on a leash, fully vaccinated. 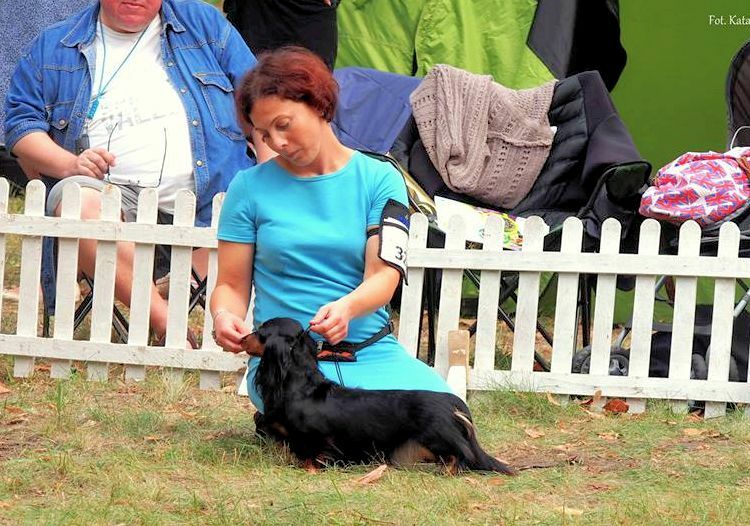 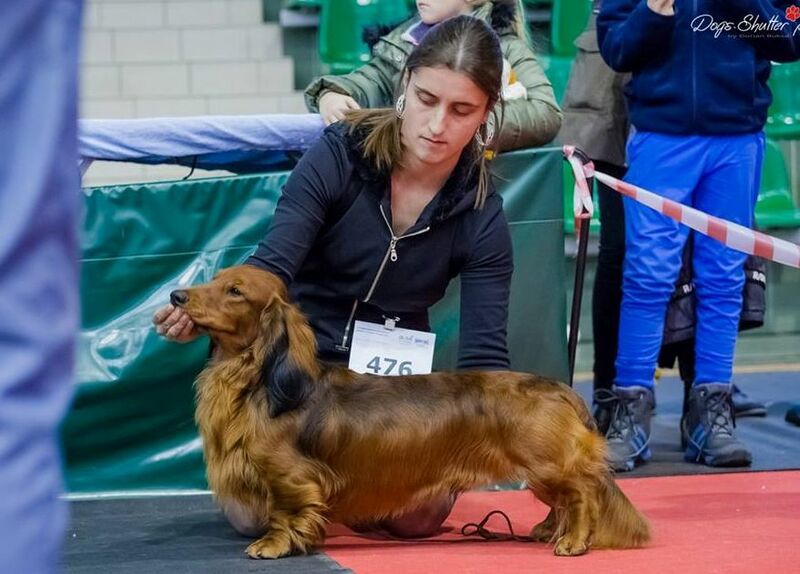 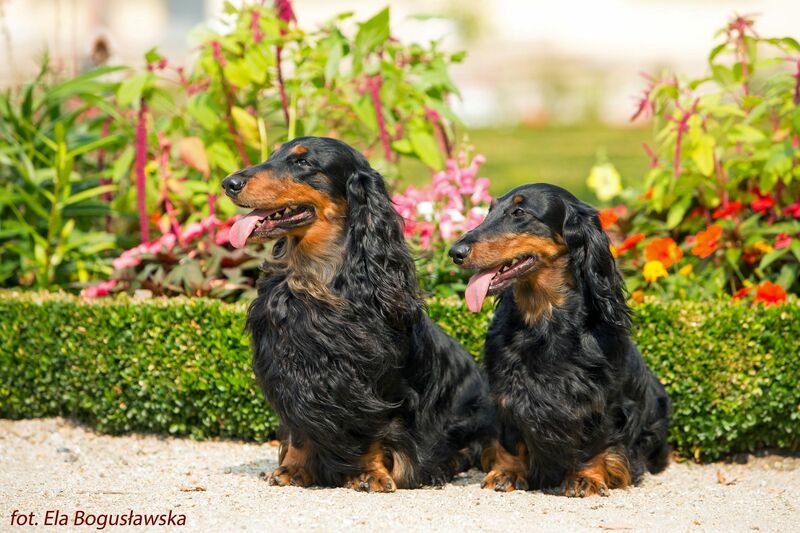 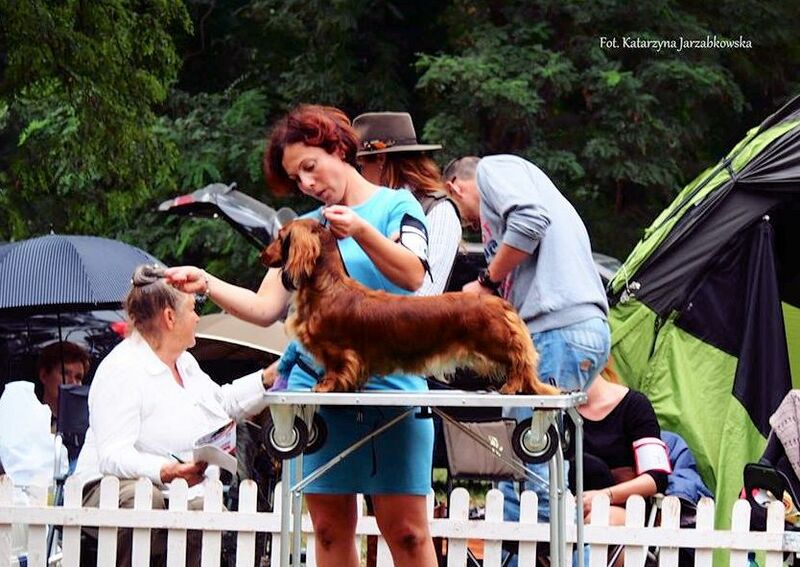 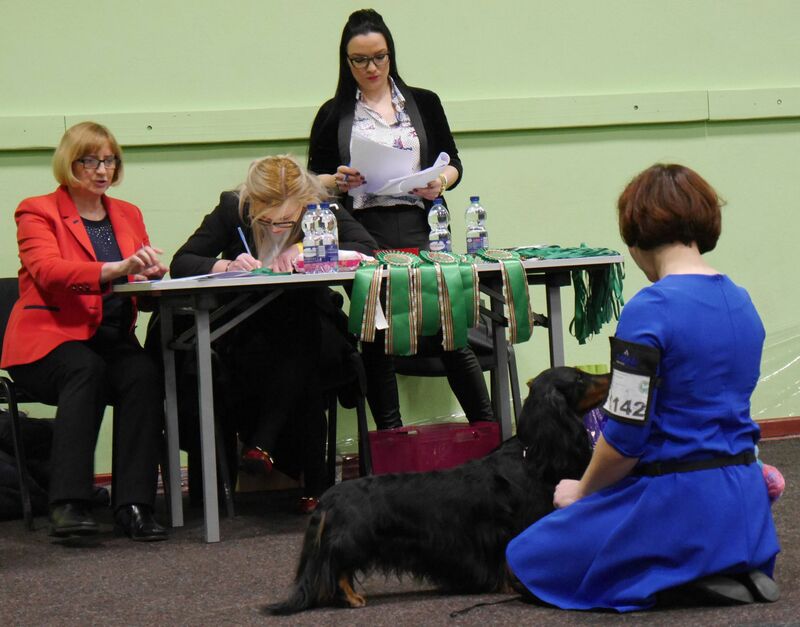 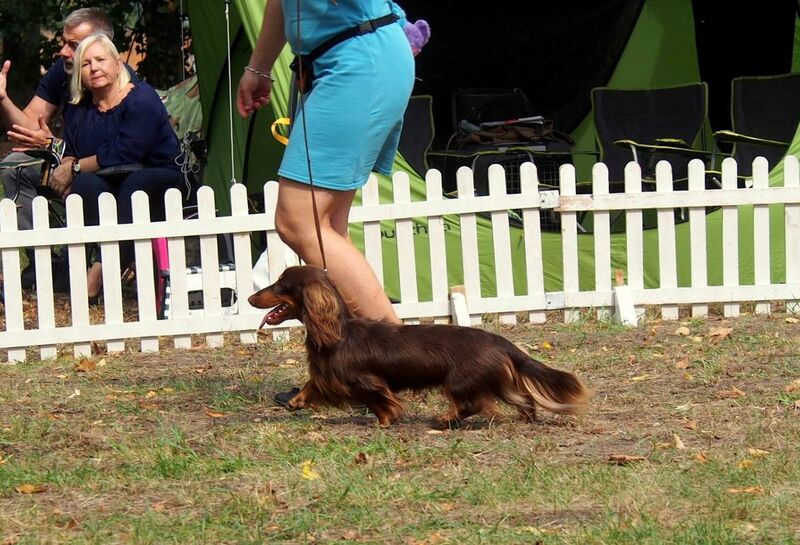 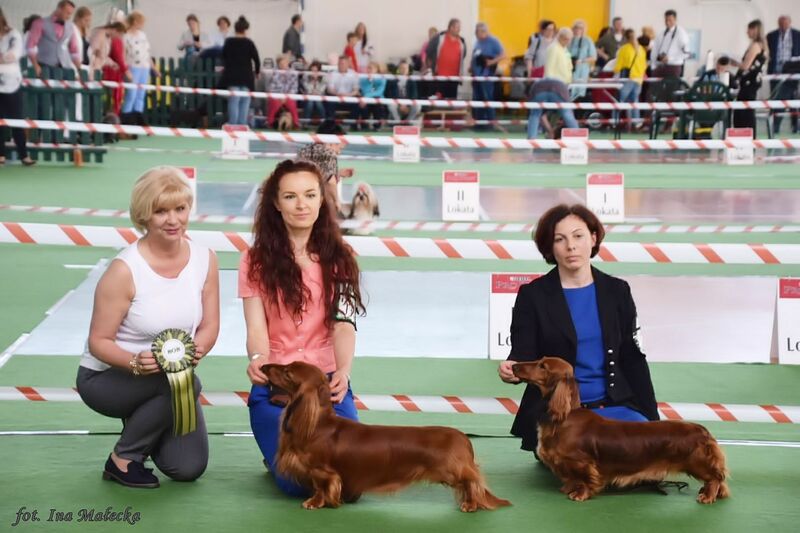 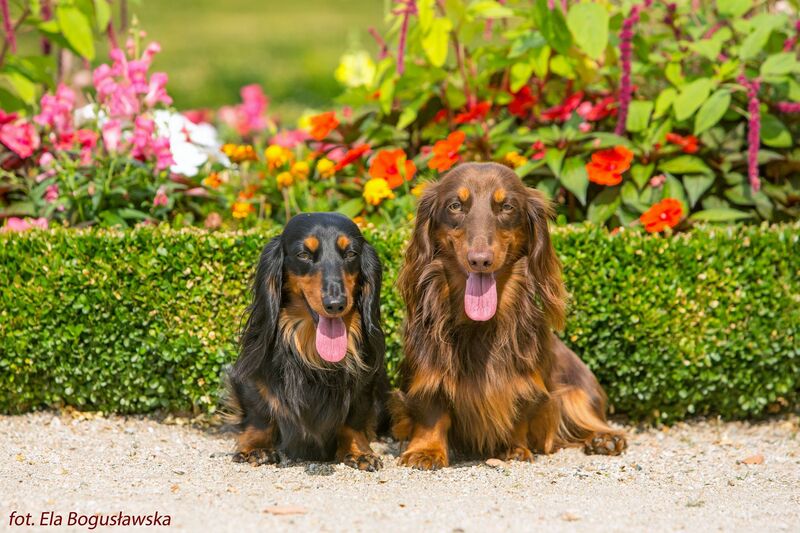 02.09.2018 r. Club Dachshunds Show - Castle in Rydzyna. 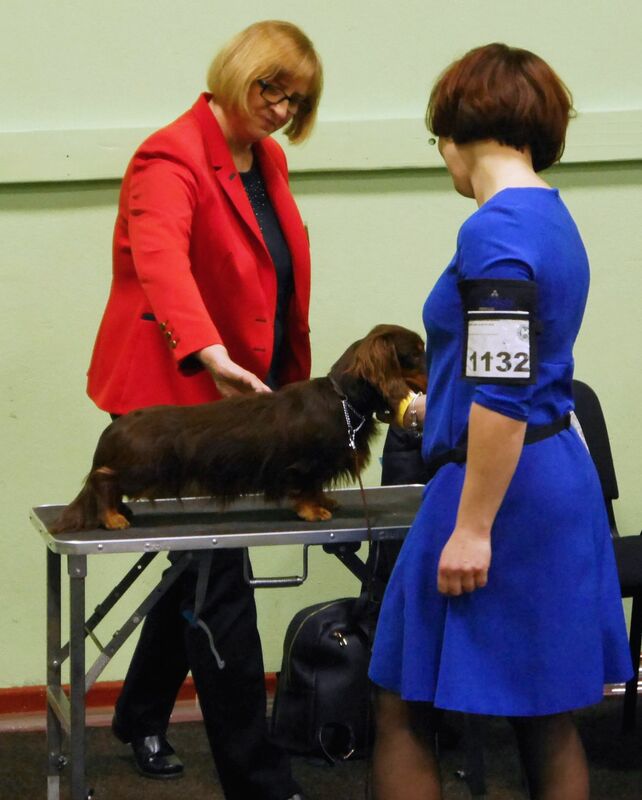 LUKE Hokus Pokus z Perlowej ML in junior class 2nd place. 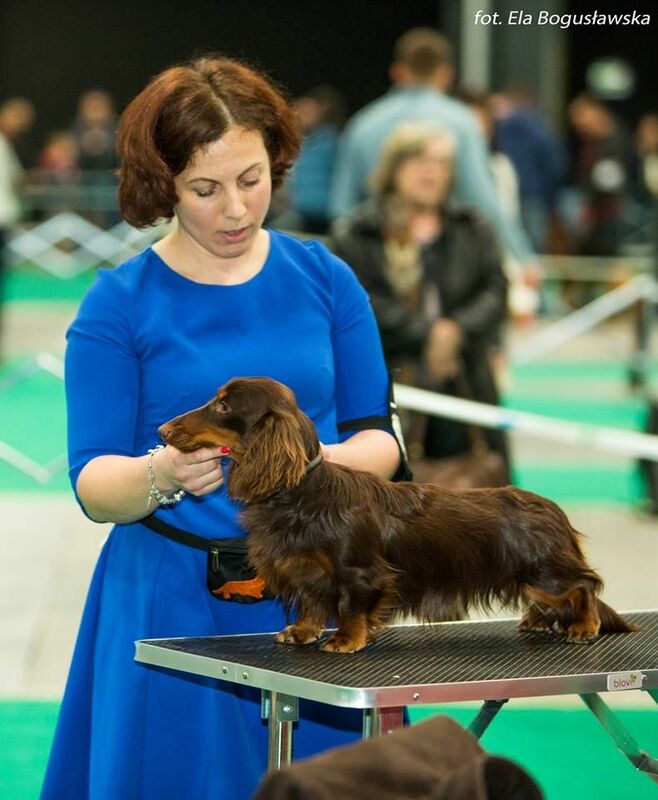 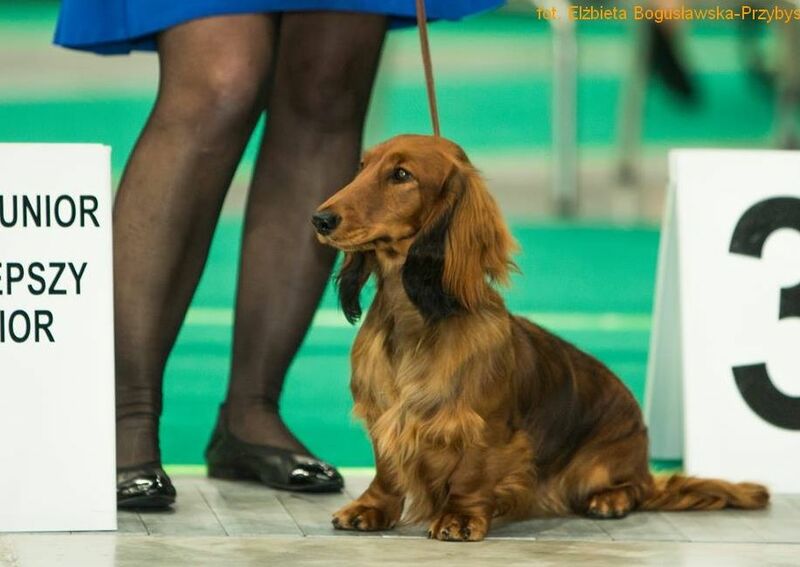 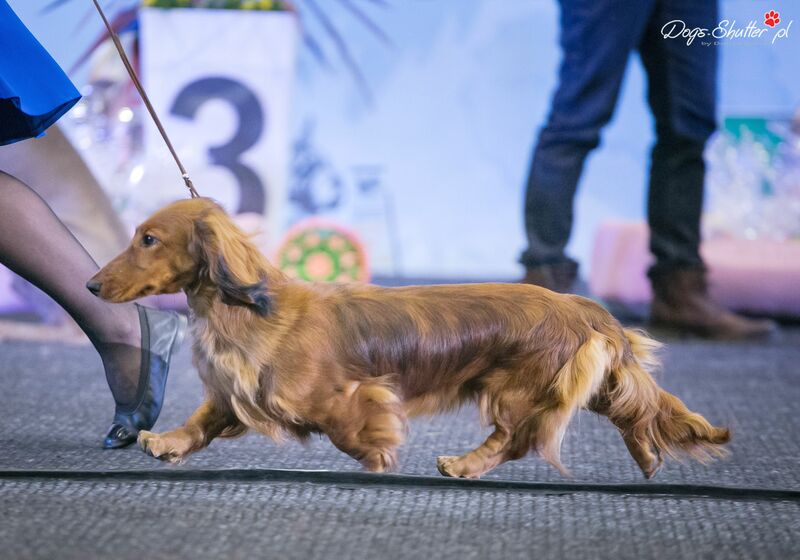 BASSHUBERT COMO UNA OLA ML in the champion class the excellent, 3rd place. 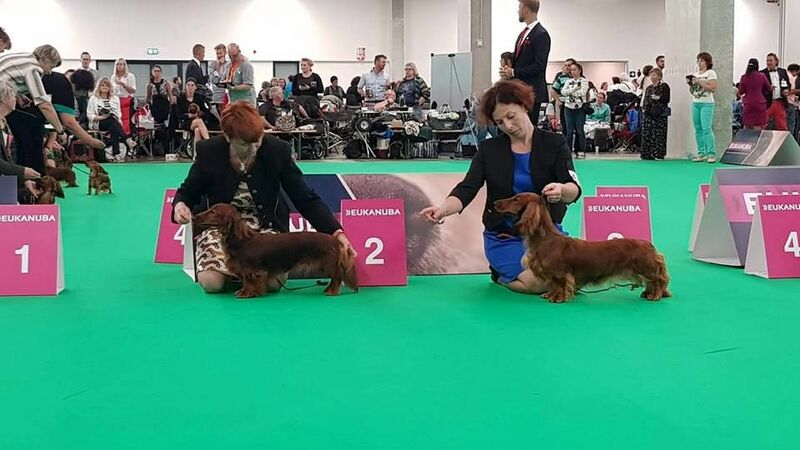 24.07.2018r. 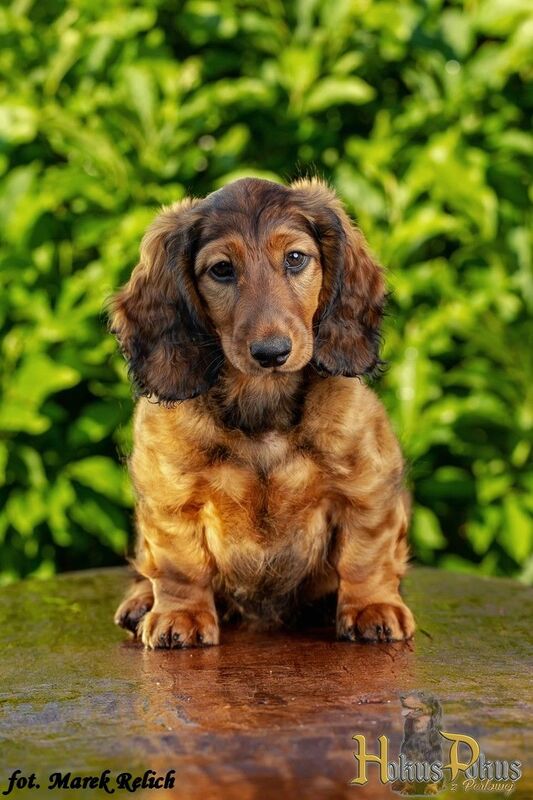 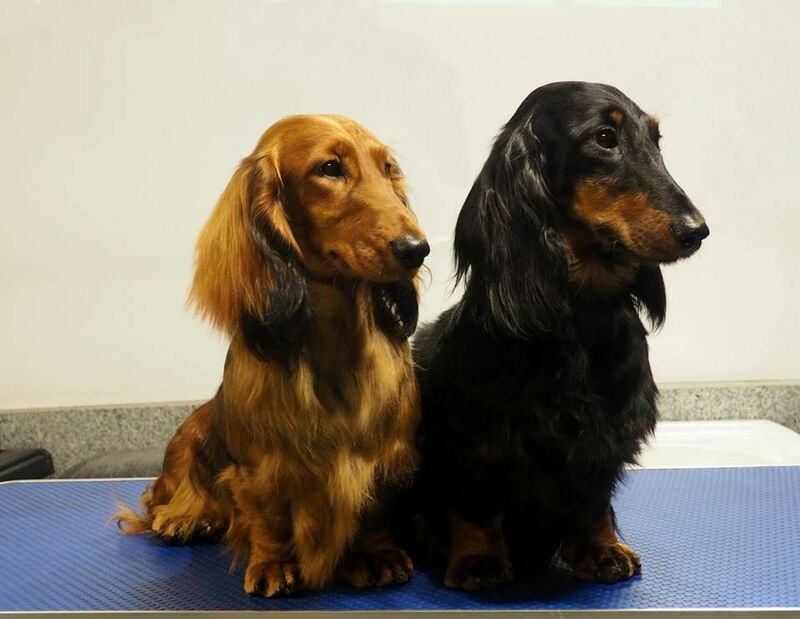 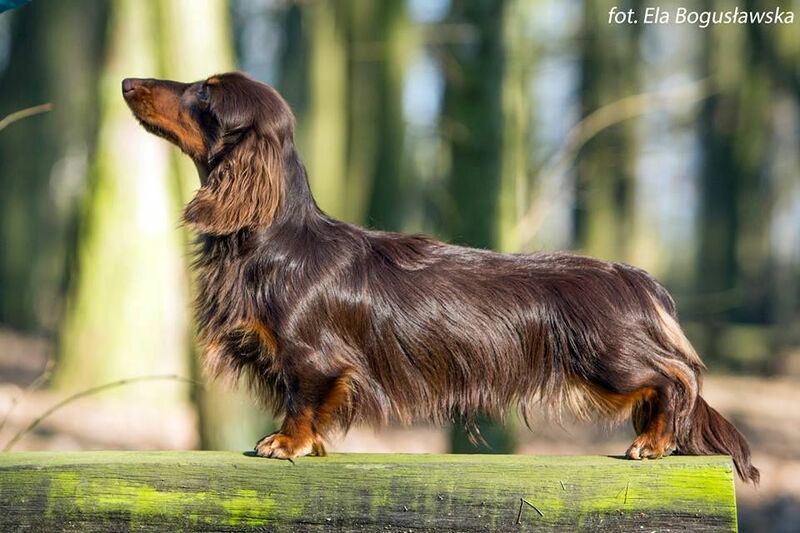 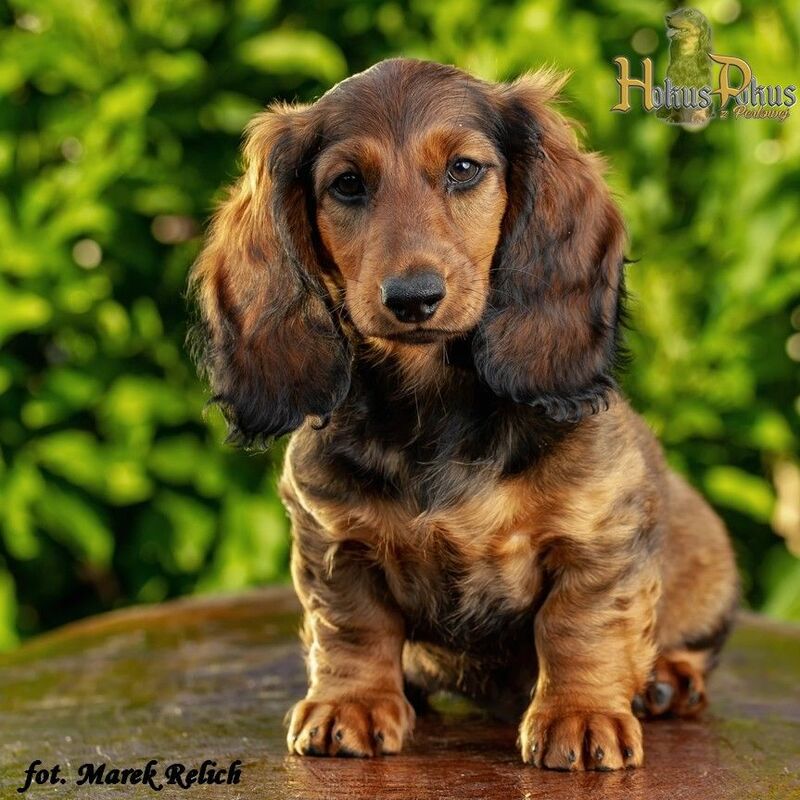 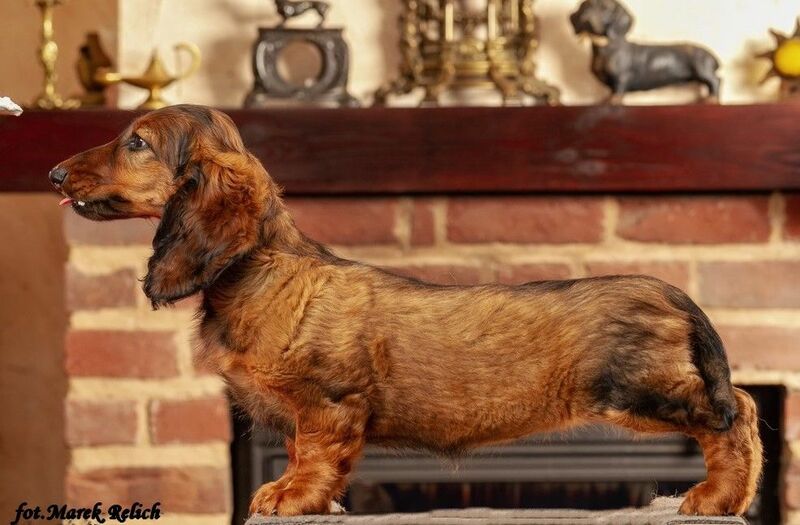 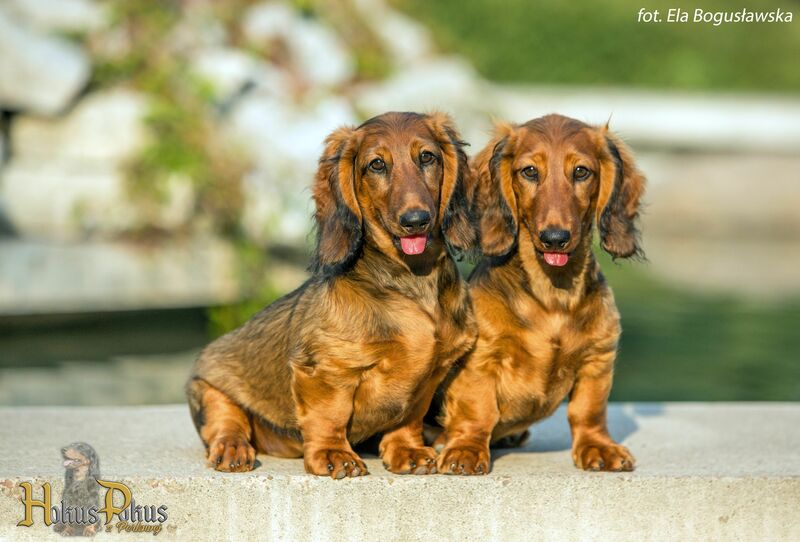 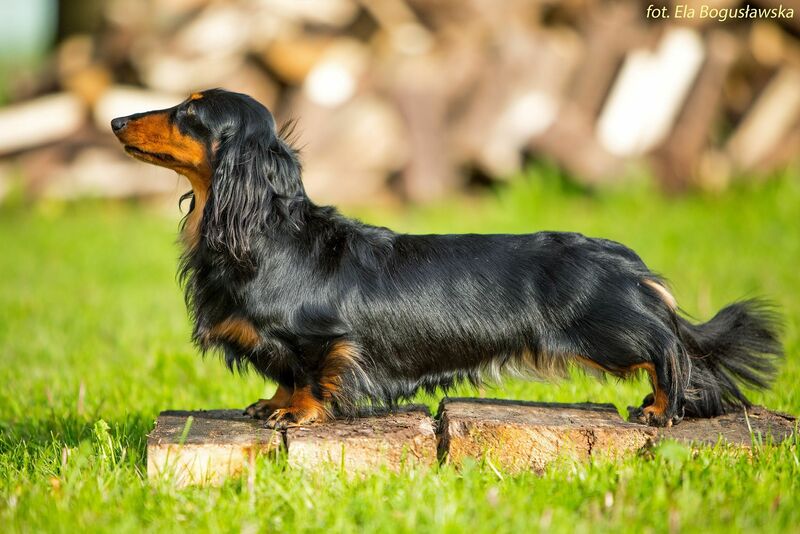 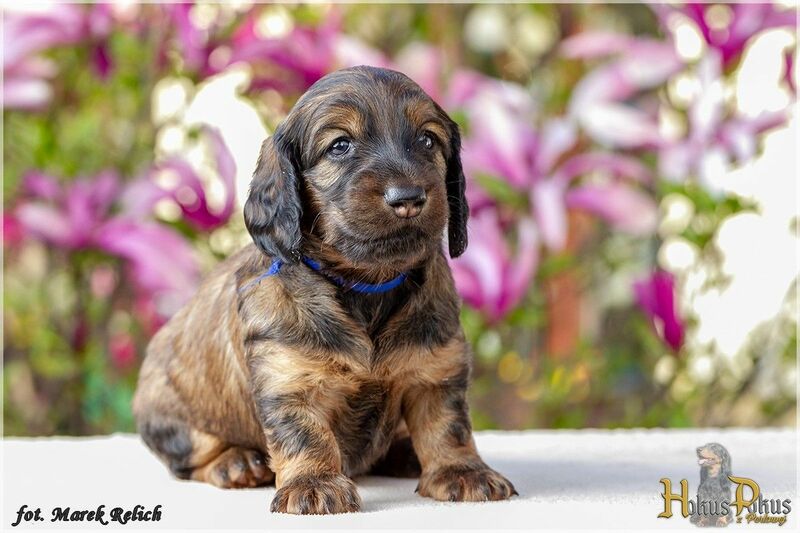 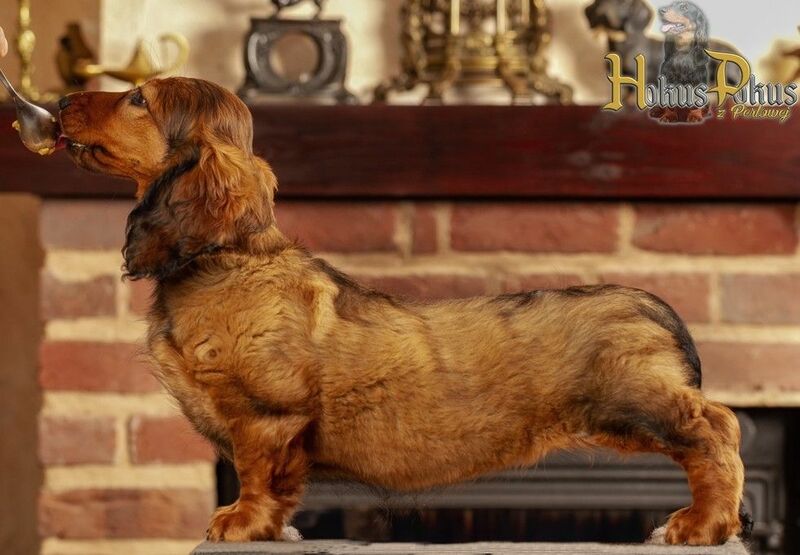 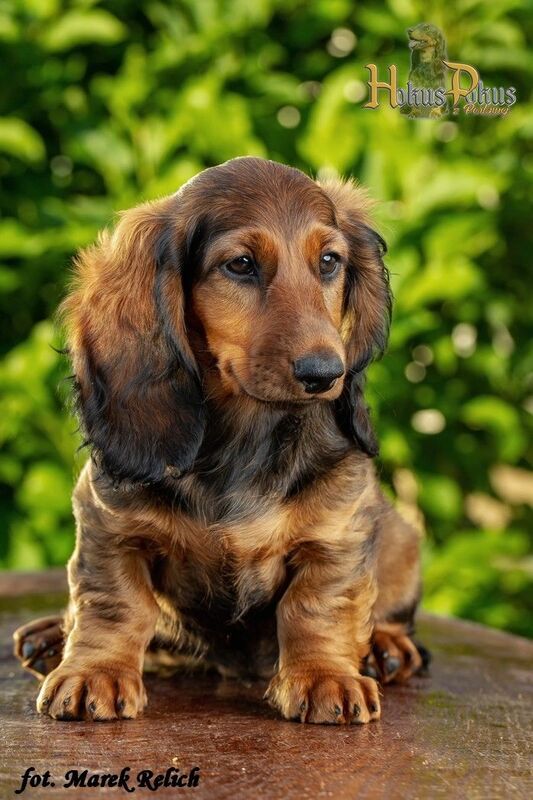 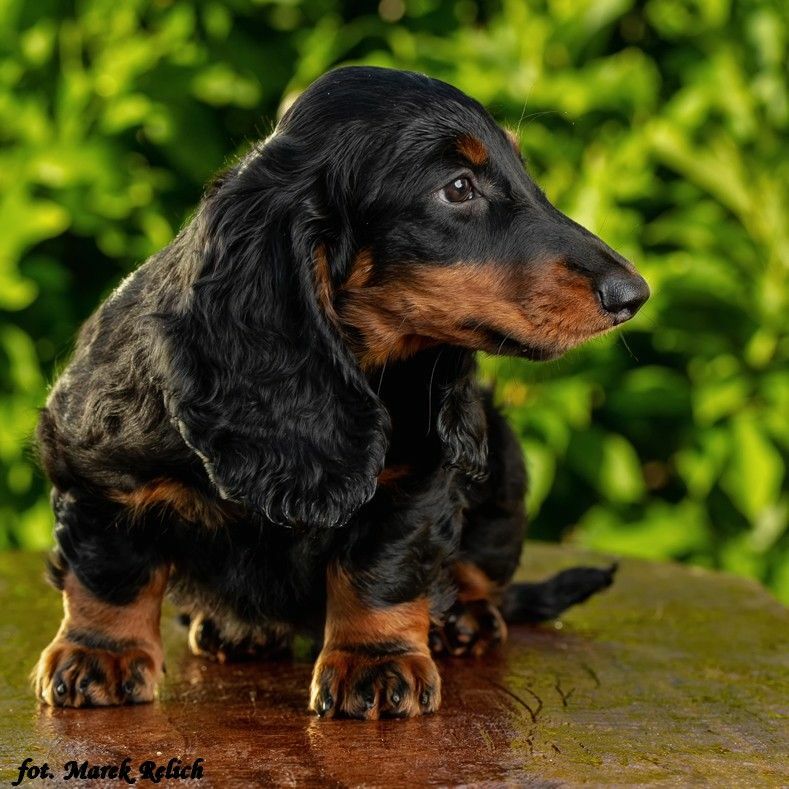 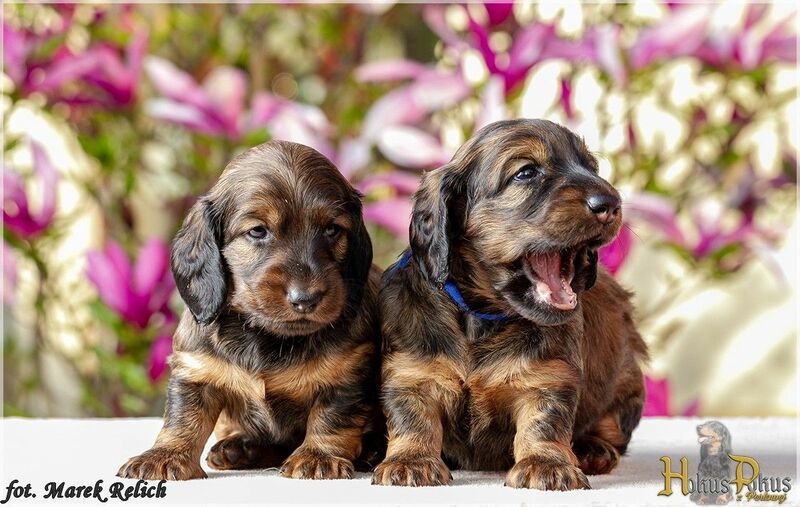 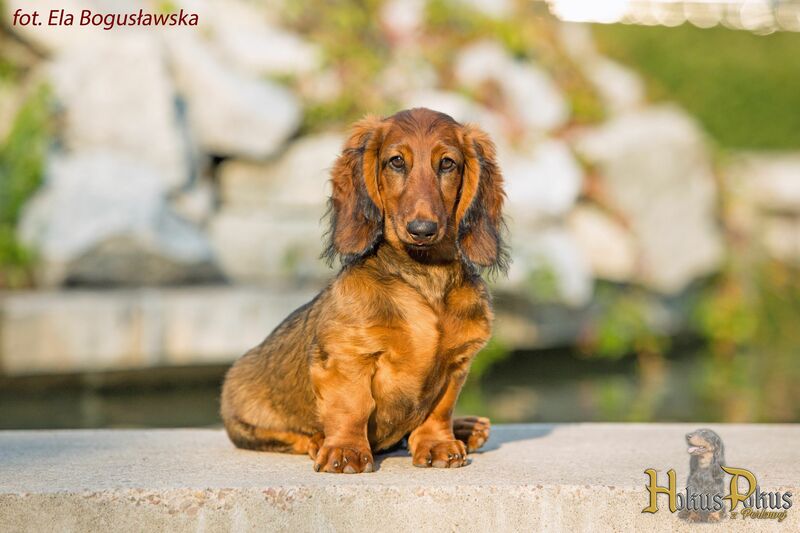 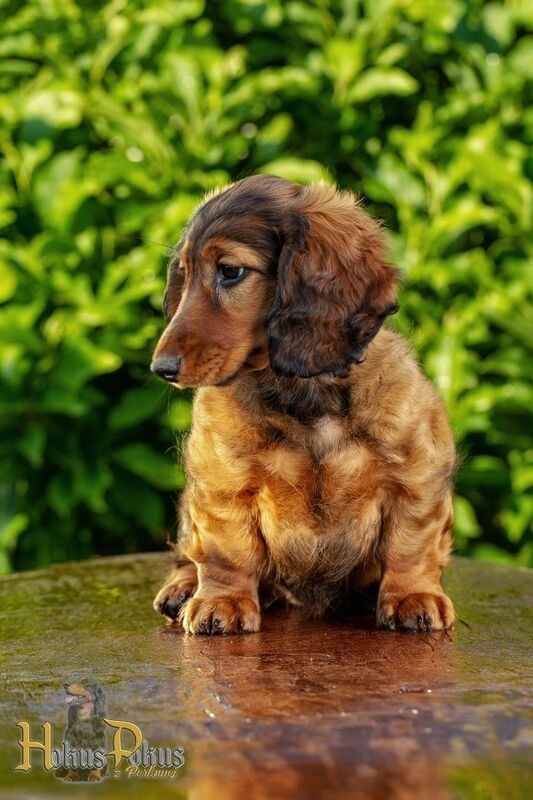 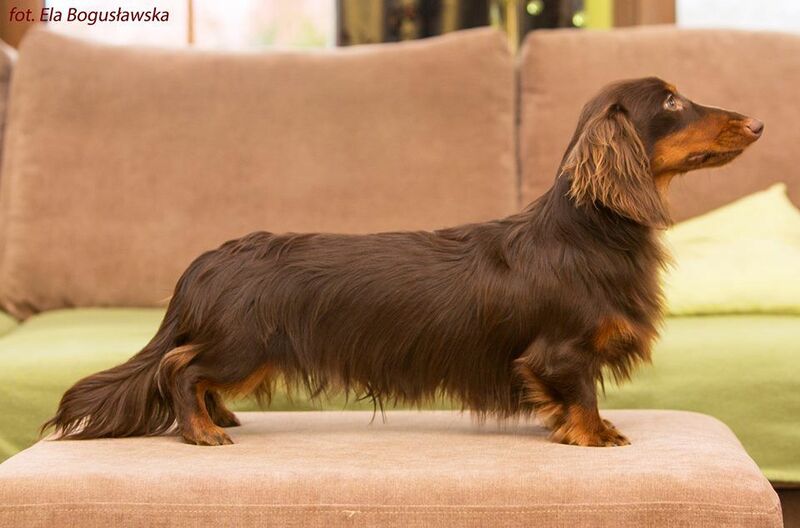 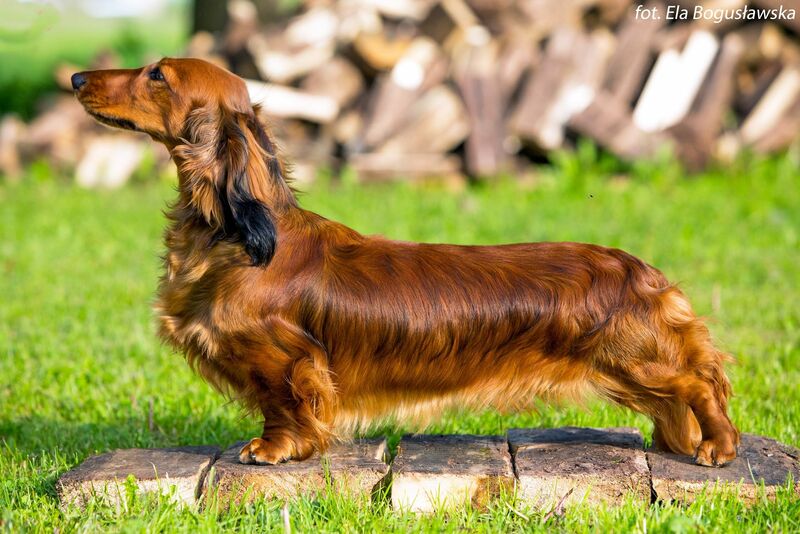 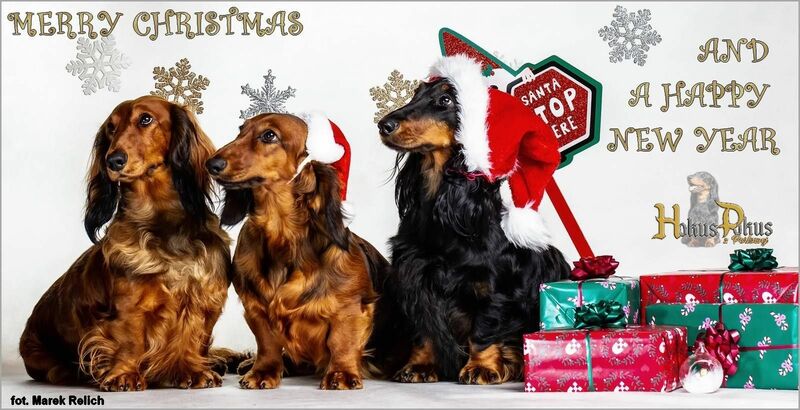 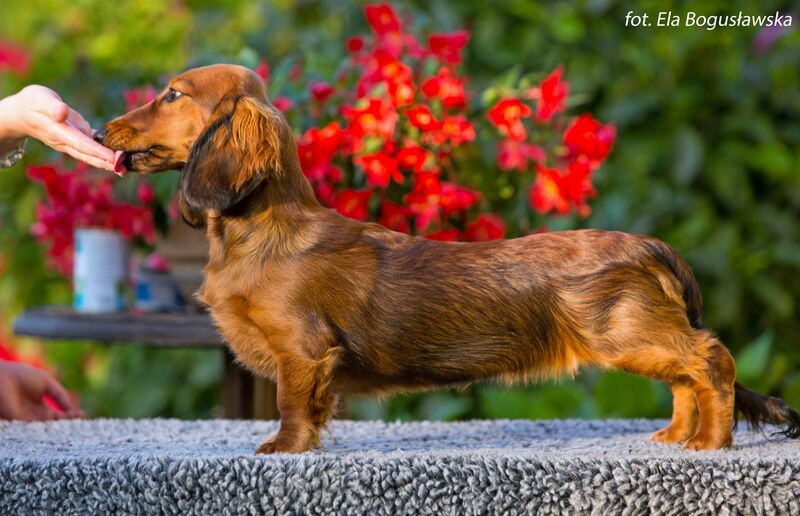 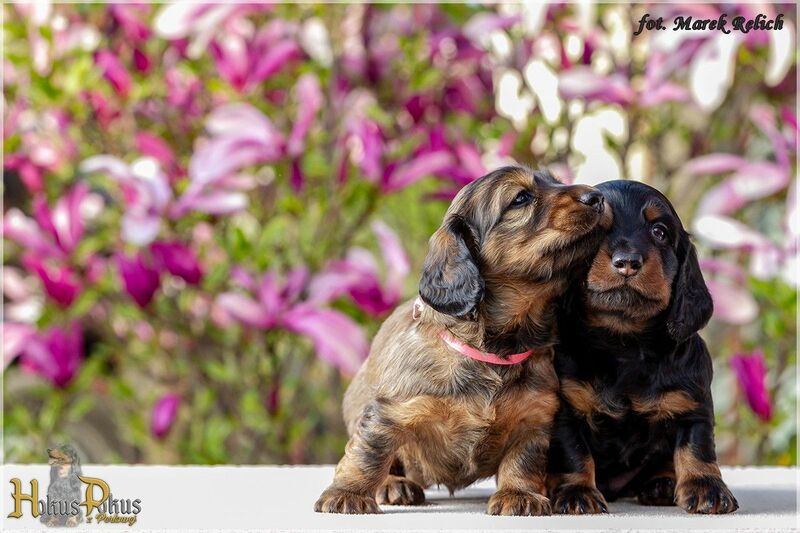 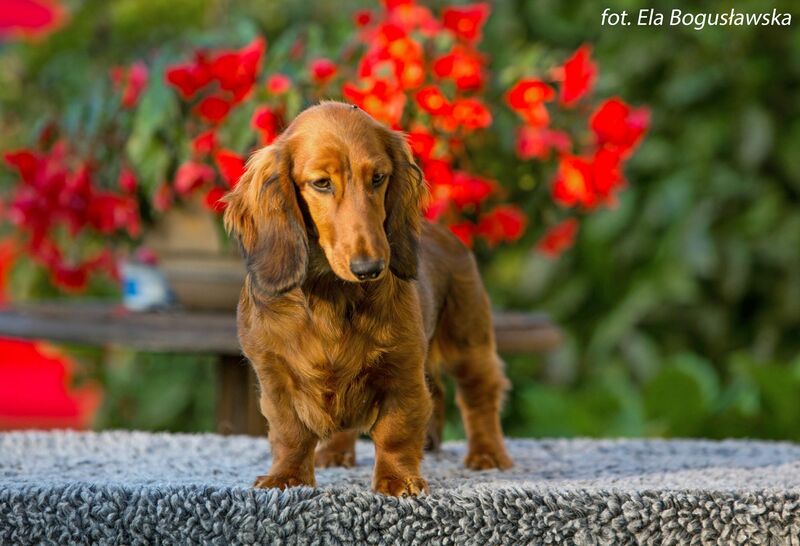 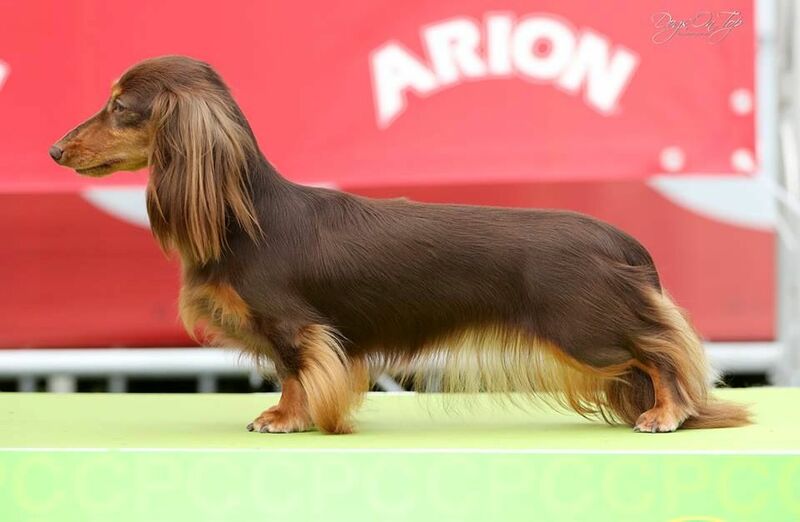 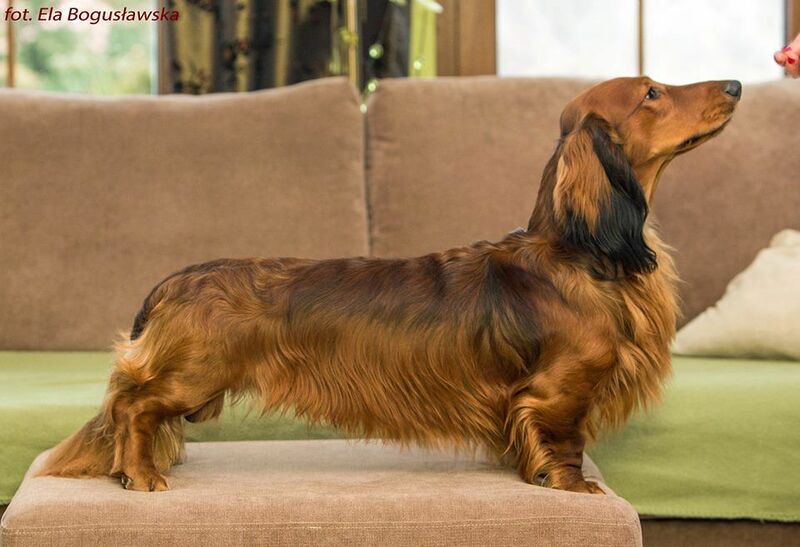 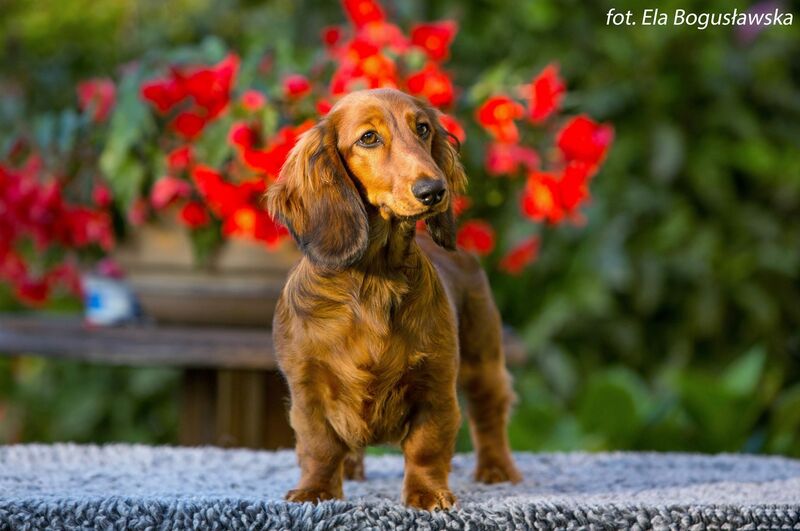 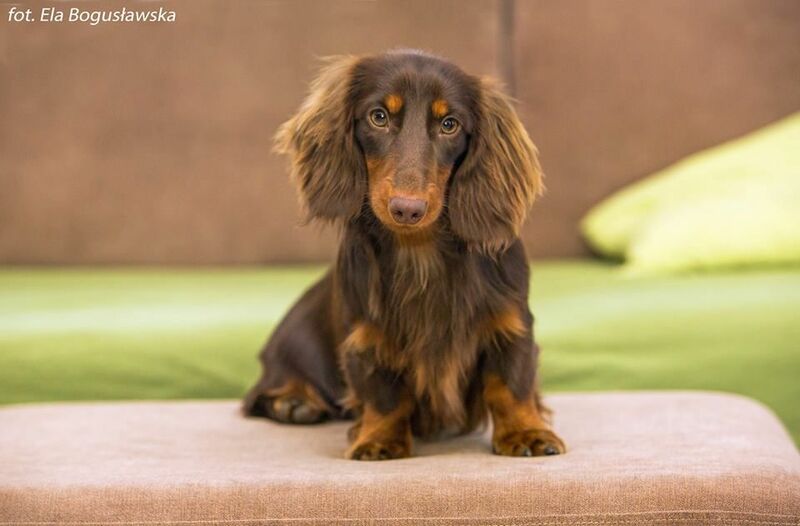 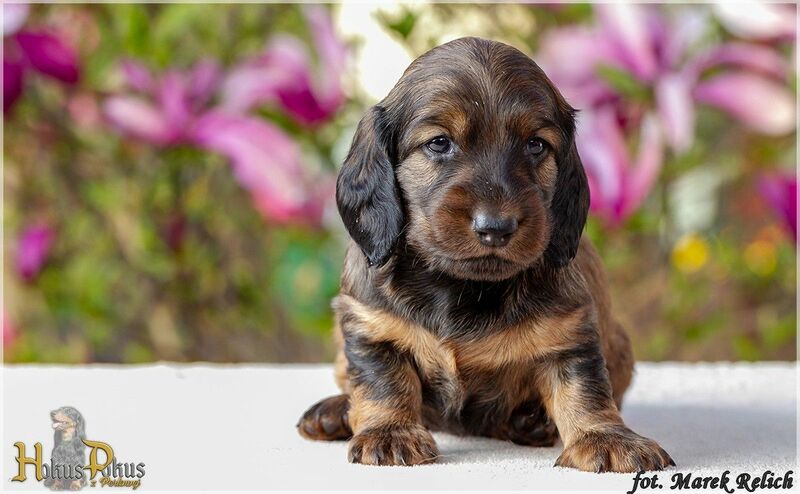 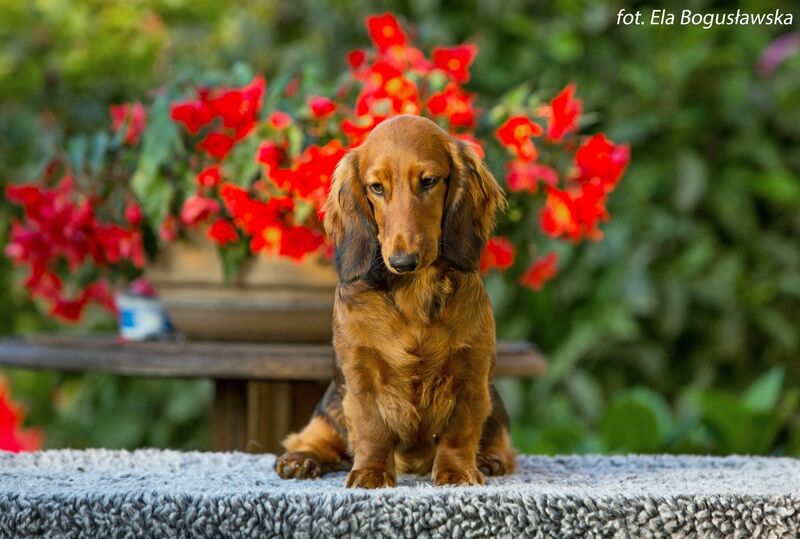 In our friendly kennel Z Jamniczej Opowieści, long-haired standard dachshunds were born. 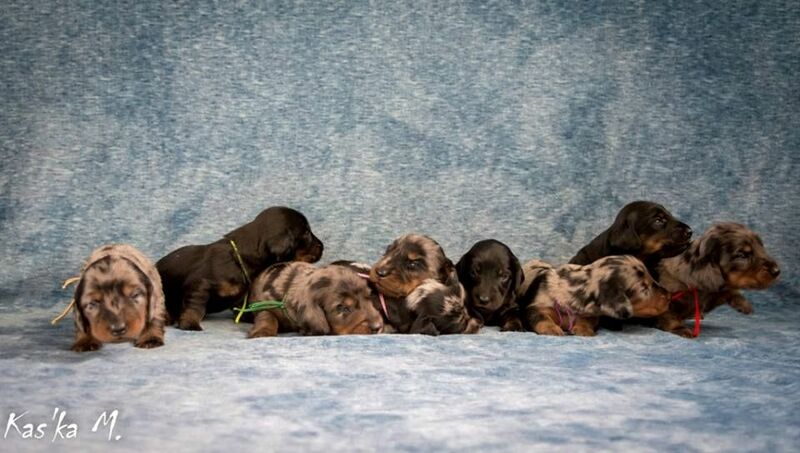 and 3 males: 2 black and tan dapple and 1 black and tan. 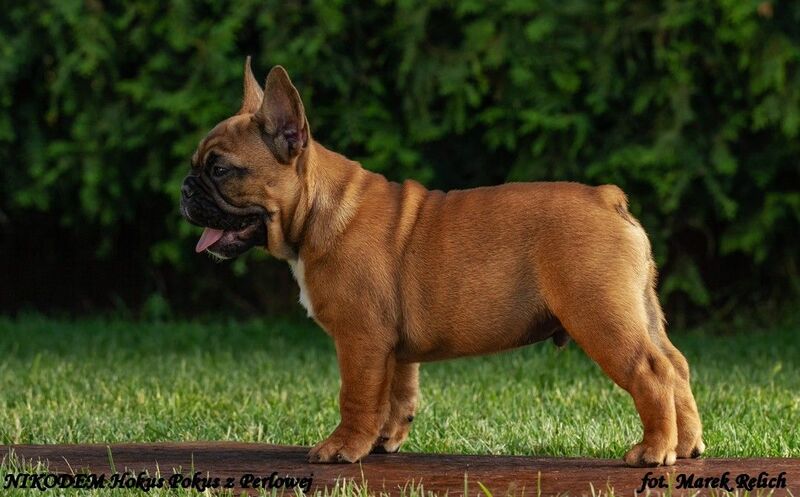 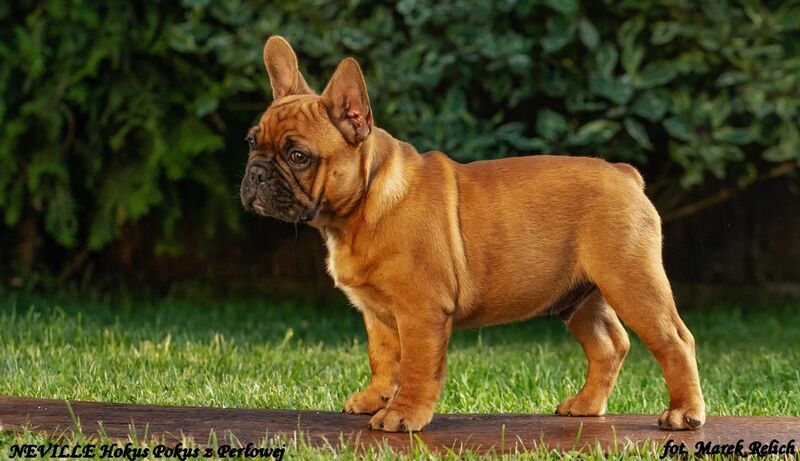 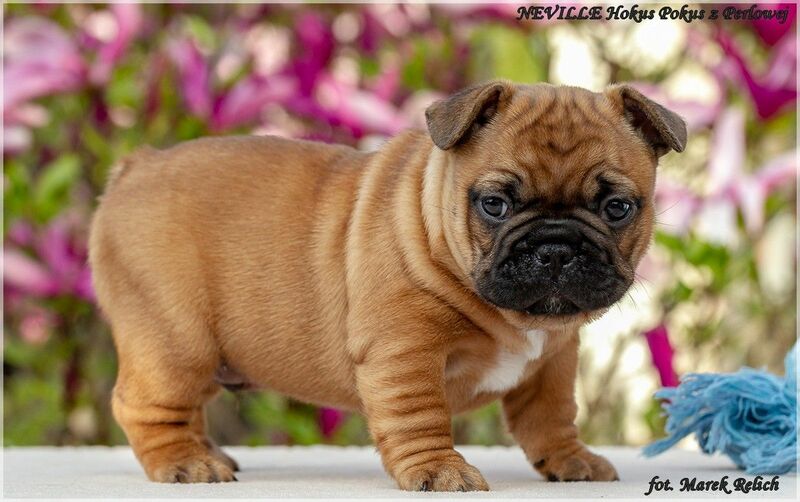 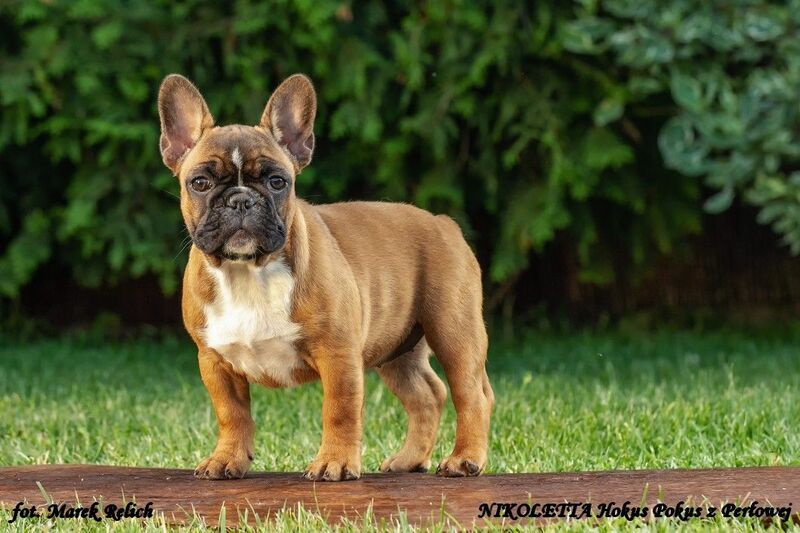 Sire: JCh RU, JCh EST, JCh LT, JCh LV, JCh Balt, JCh BY, J OGRE Winner 2016, 3 x JCh RU Club, JWinner RU Club, JWinner Helsinki 2015 Fin; Winner RU. 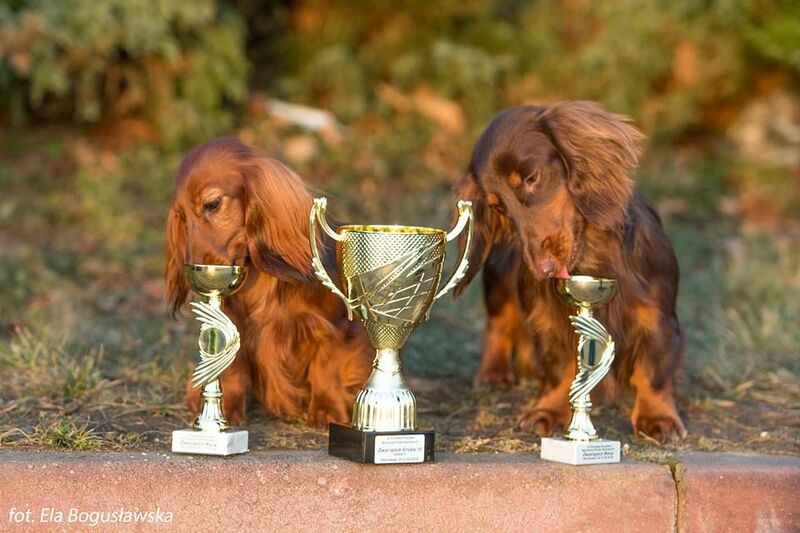 Club, Ch RU Club, Ch RU, Ch EST, Ch LV, Ch LT, Ch Balt, Gr. 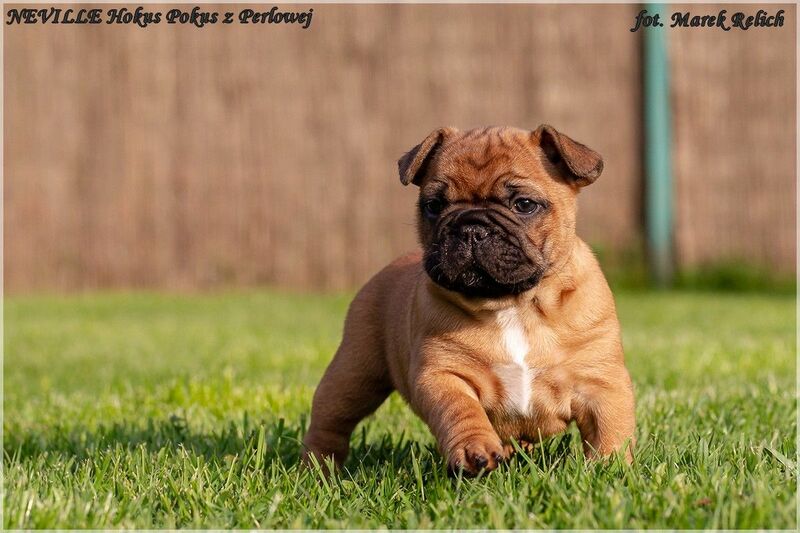 CH BY, C.I.B. 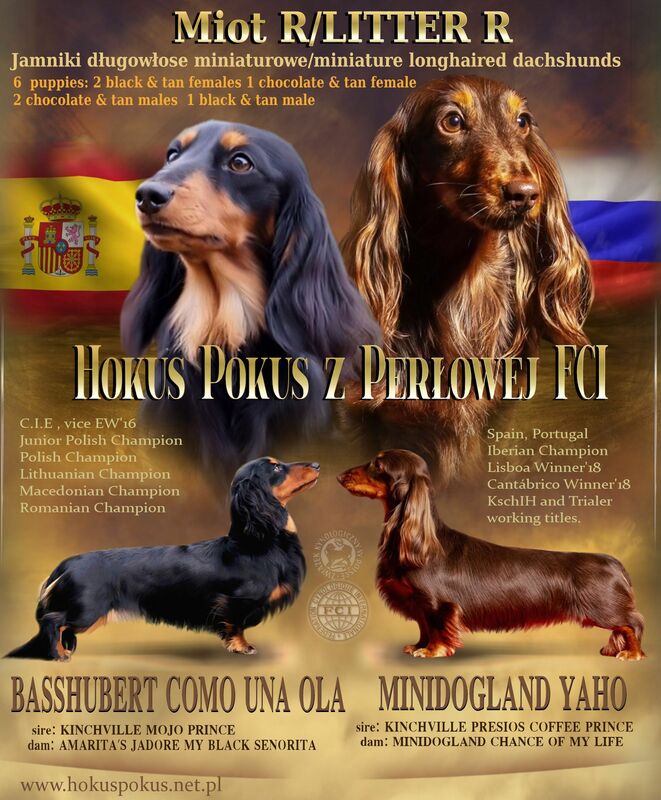 Dam: JCh PL, Ch PL HEBANE Hokus Pokus z Perlowej. 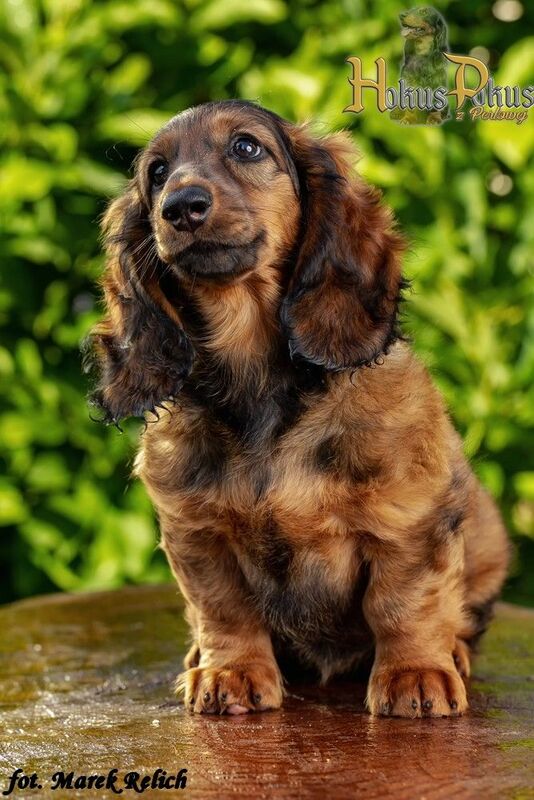 For several years I have been looking for a chocolate dapple male, and finally I found Chupa Chups, who stole my heart. 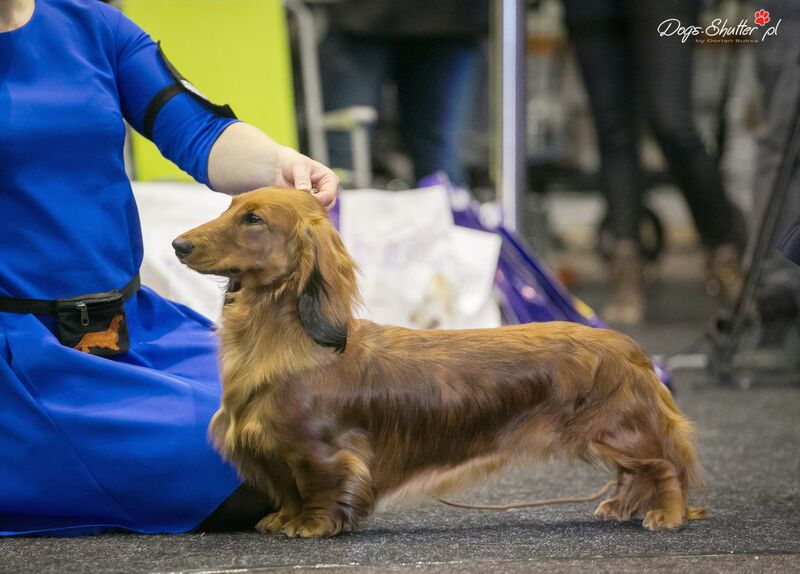 I had the pleasure to see him at the show in Estonia and it was even more beautiful in the real world :-). 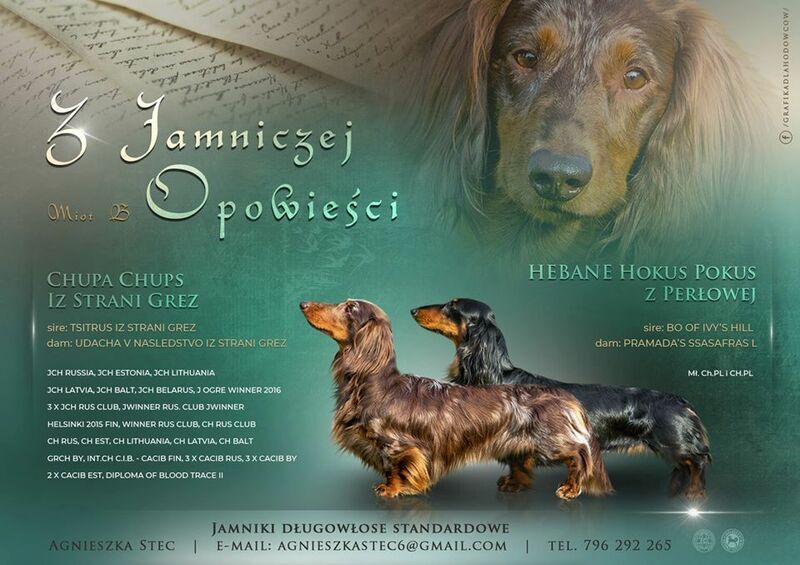 Therefore, together with the owner of the beautiful HEBANE Hokus Pokus z Perlowej- my friend Agnieszka Stec, I decided to make my dream come true :-) Agnieszka, thank you for your cooperation, taking care of kids and mummy :-) A huge thanks to the owner of Chupa Chups: Anna Sorokina for her help, commitment and the opportunity to realize this dream :-). 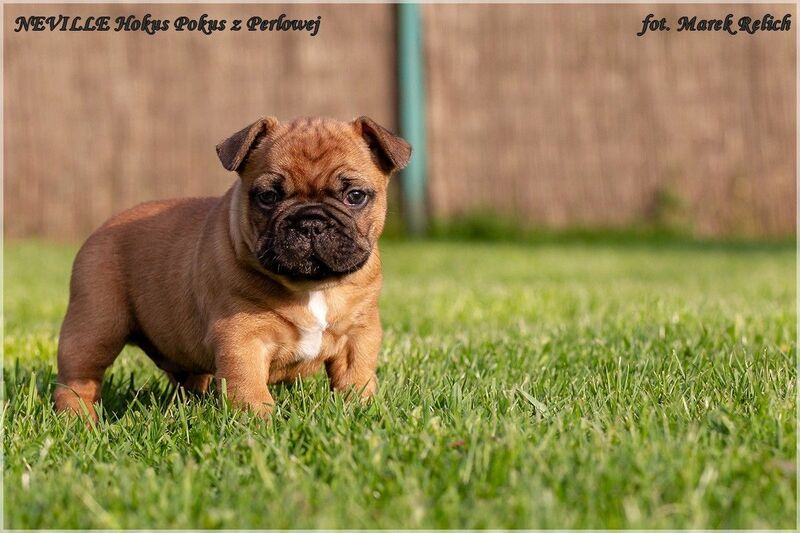 06.07.2018r. 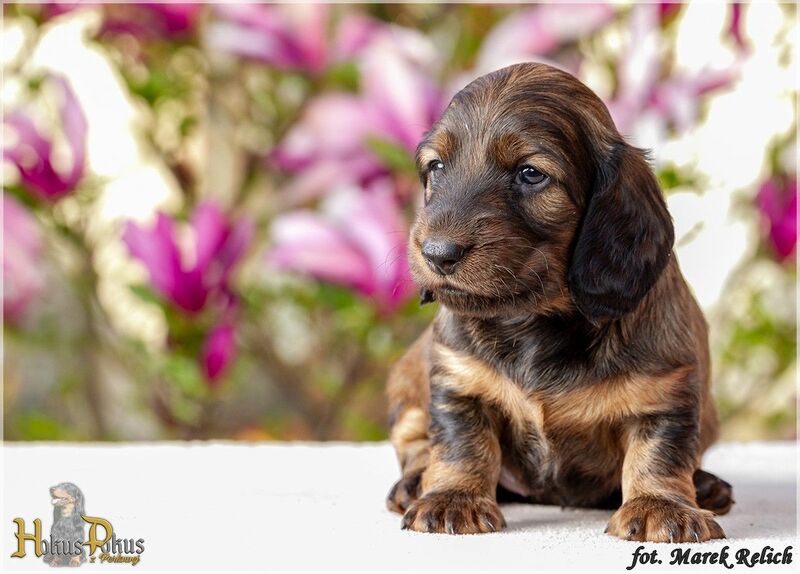 One of these wonderful females from O litter is waiting for loving home. 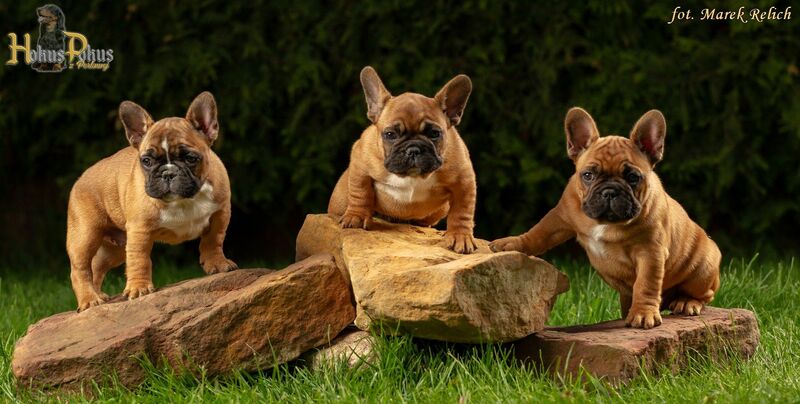 Puppies have wonderful characters, they are socialized, they can walk on a leash, they do the toalete outside, they also have all current vaccinations and full prevention. 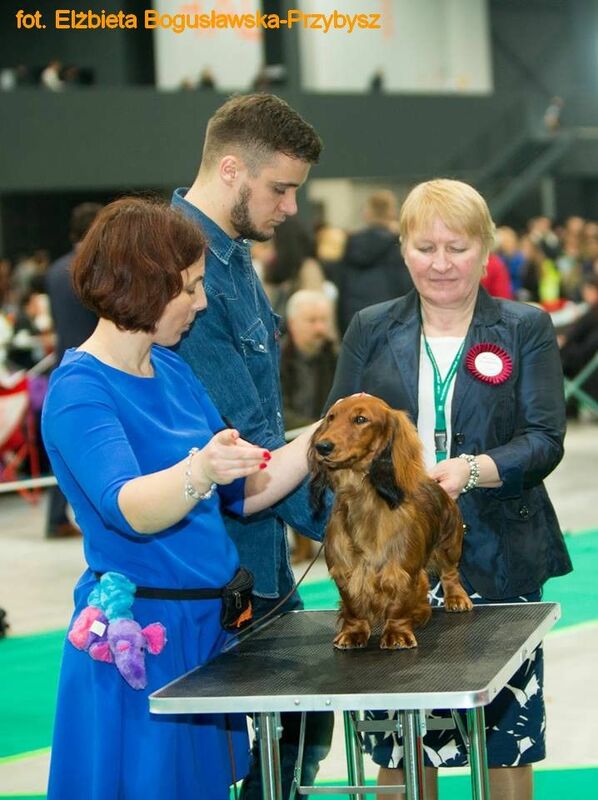 Future new owners are invited for a meeting to learn about our home kennel. 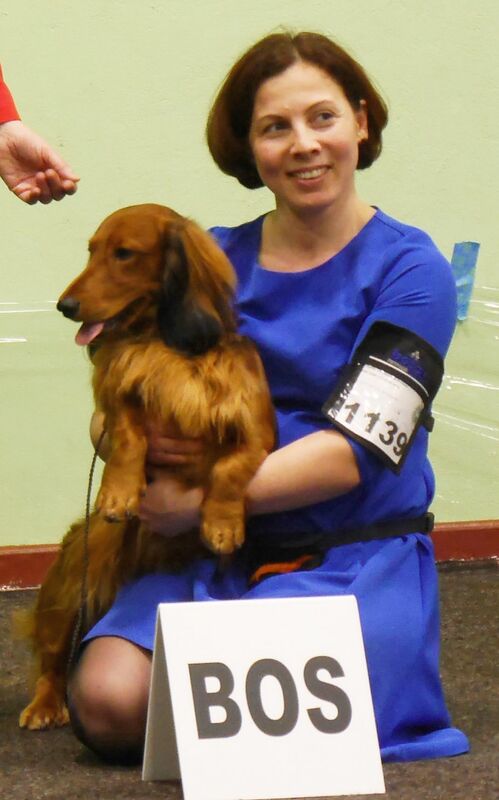 BASSHUBERT COMO UNA OLA ML exc.1, LT CAC, CACIB, BOS. 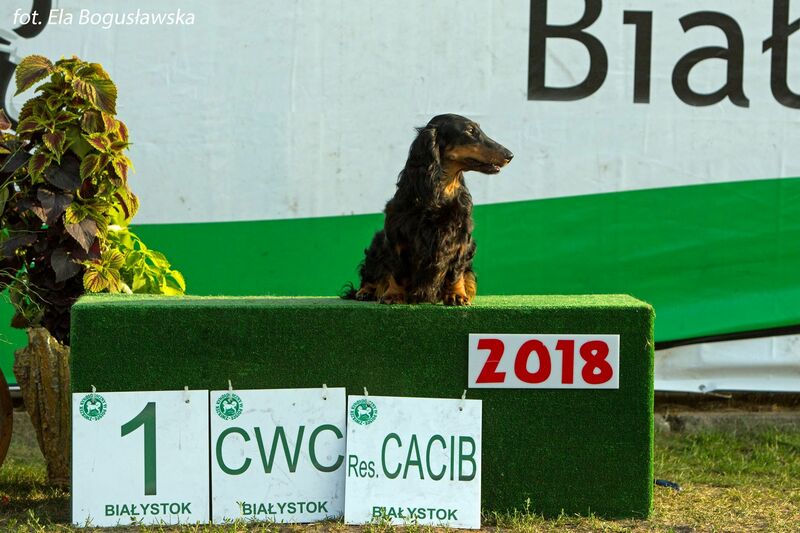 07.06.2018r. 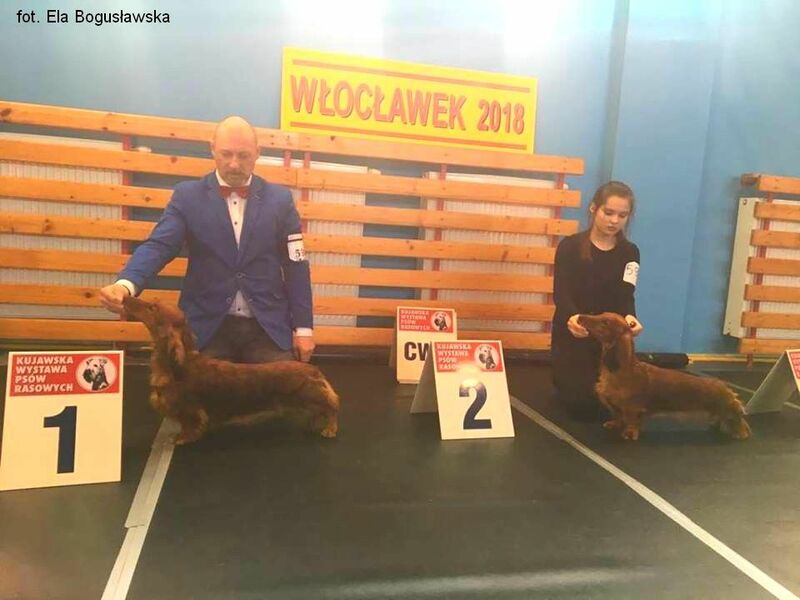 Nowe zdjęcia szczeniąt z miotu O można zobaczyć w Galerii Miotu. 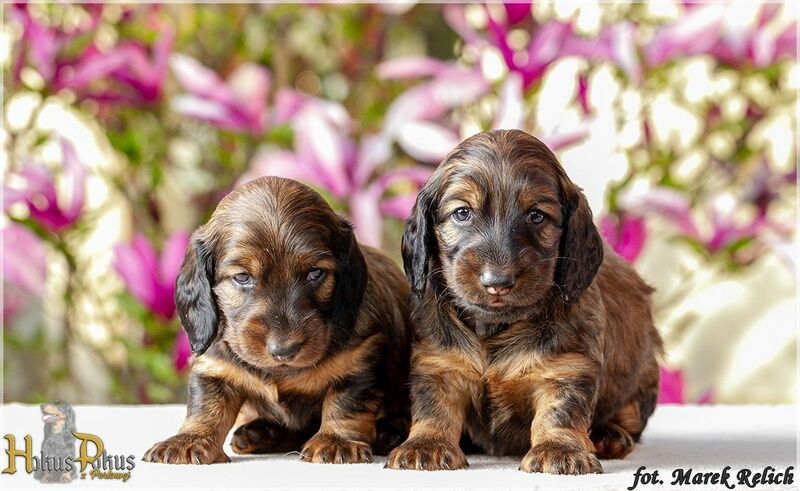 LITTER "O"
07.06.2018r. 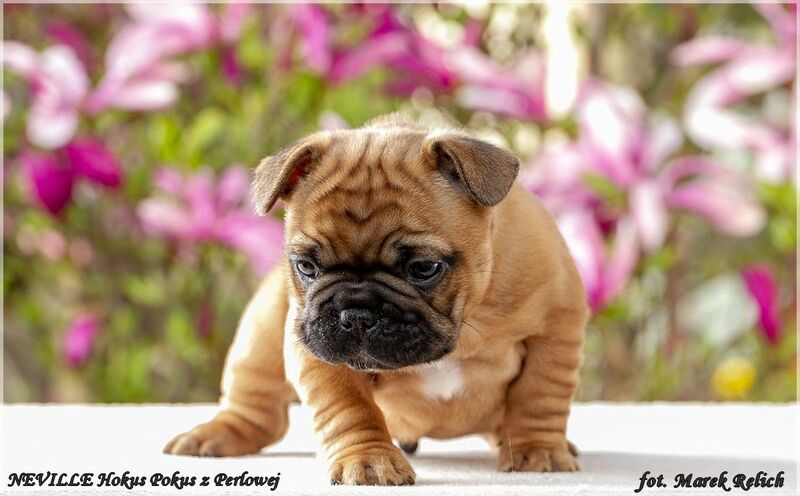 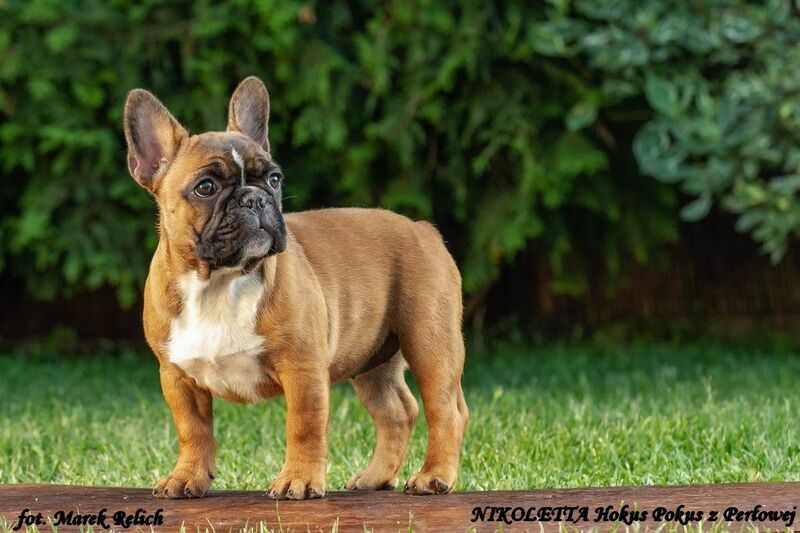 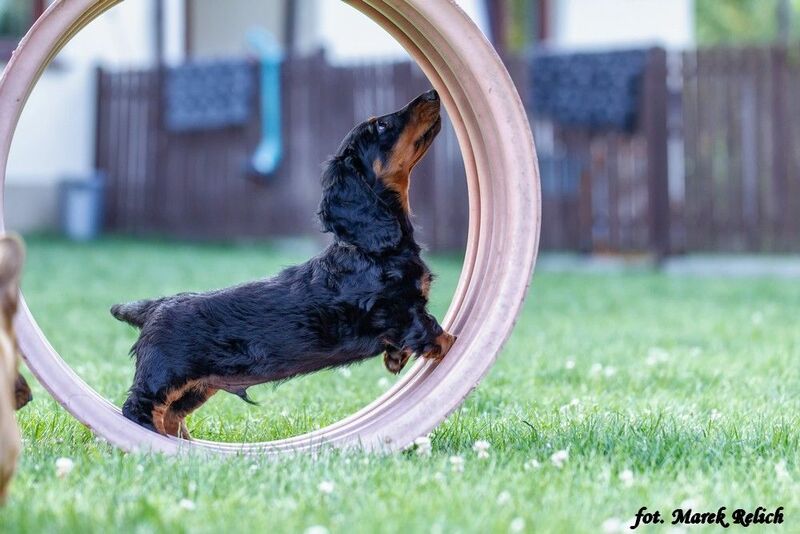 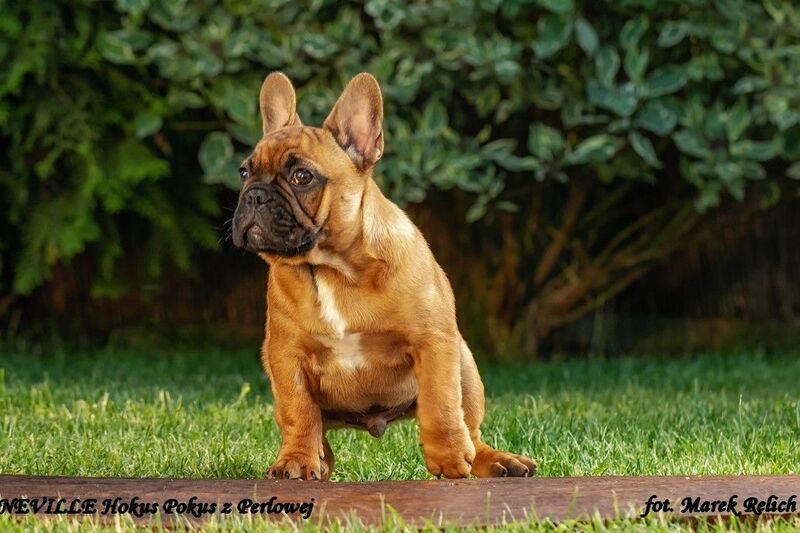 The New photos of our puppies from N Litter you can find in the Gallery LITTER "N"
KARMA Hokus Pokus z Perłowej SLin intermediate class: exc., CAC, BOS. 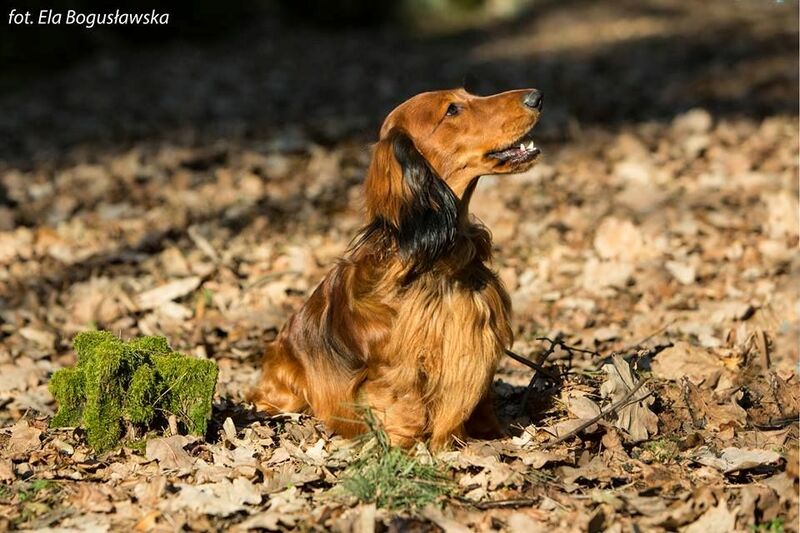 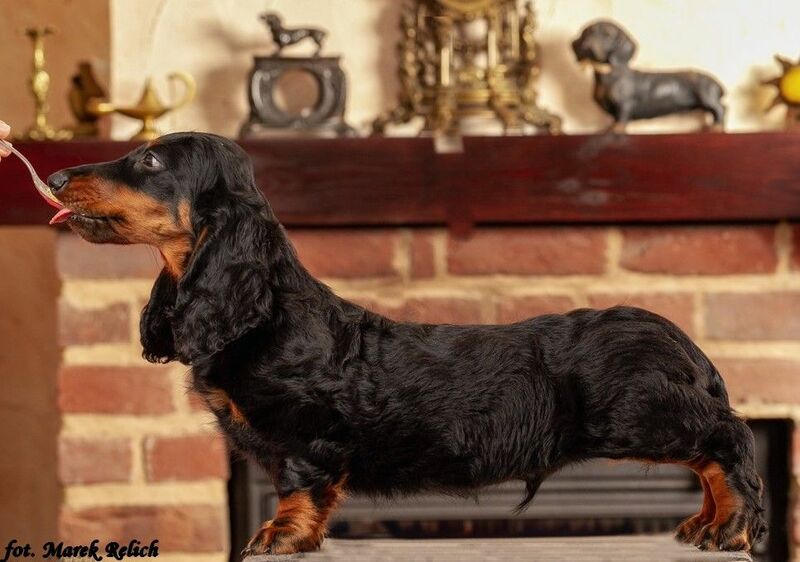 D.O.B 30.03.2018- Finally we have our long waiting long-haired standard litter :-). 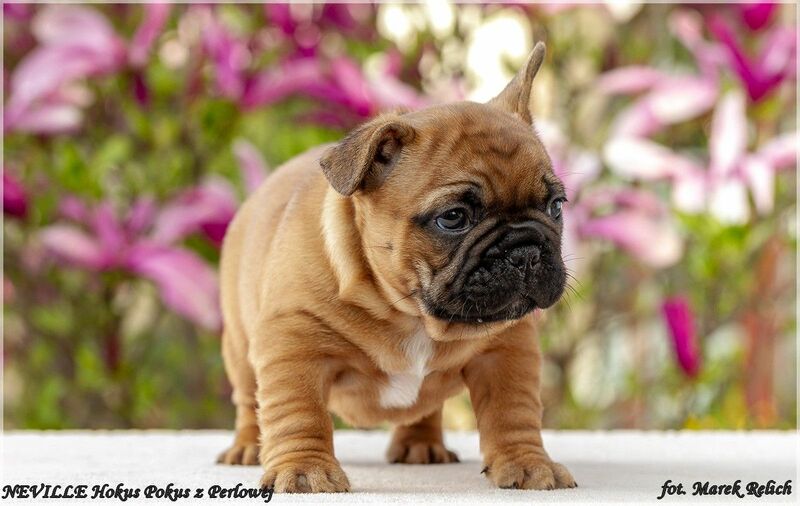 D.O.B 14.03.2018- I'm so happy to introduce our new born puppies- french bulldogs. 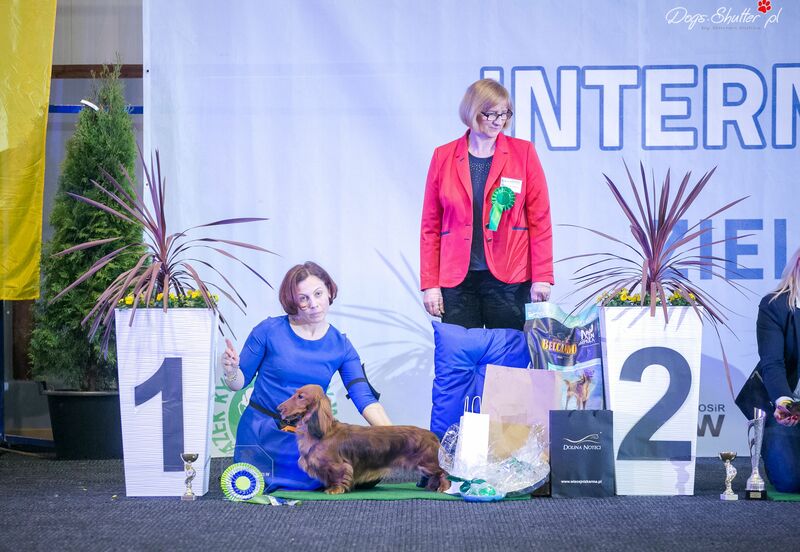 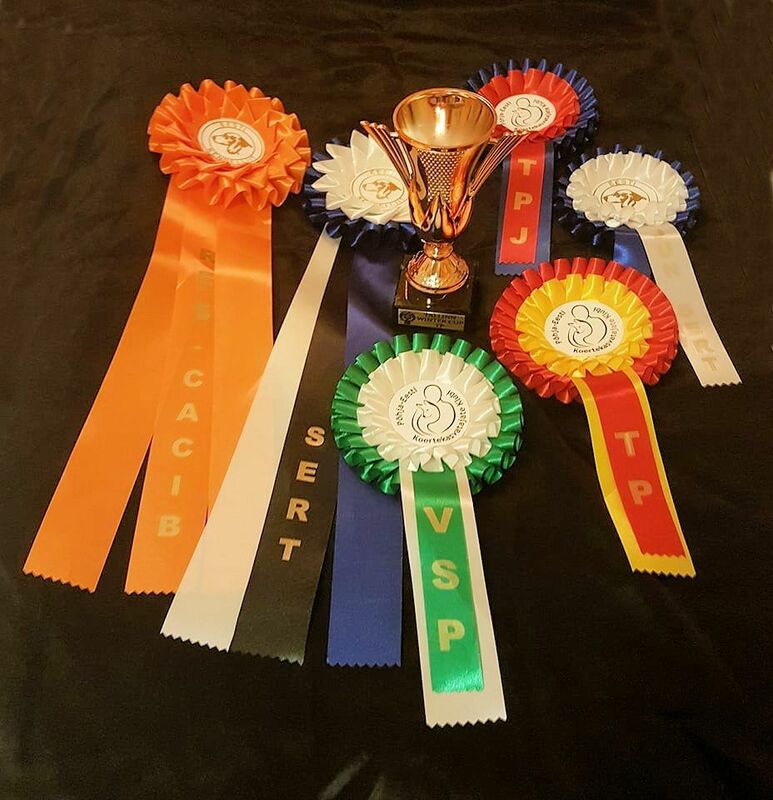 JCAC, Best Junior, Best of Breed. 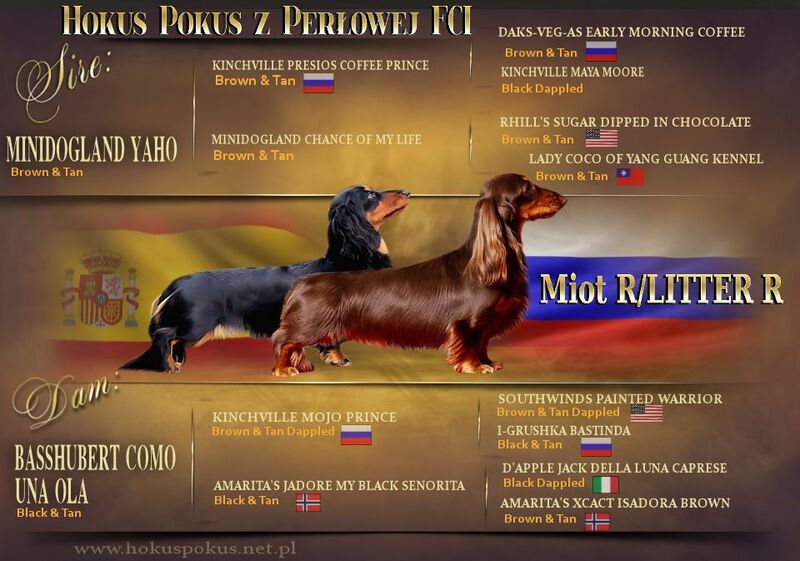 KAJUS Hokus Pokus z Perłowej SL owner: Lidia Grzeszkiewicz-Kotlewska,intermediate class: excellent, CAC, Best Male. 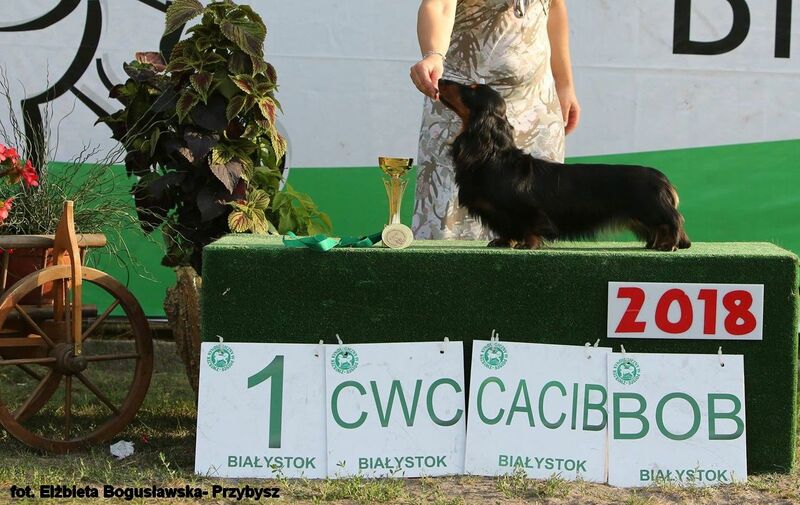 KHALESSI Hokus Pokus z Perłowejowner: Jacek Łankiewicz , ,junior class: excellent, JCAC. 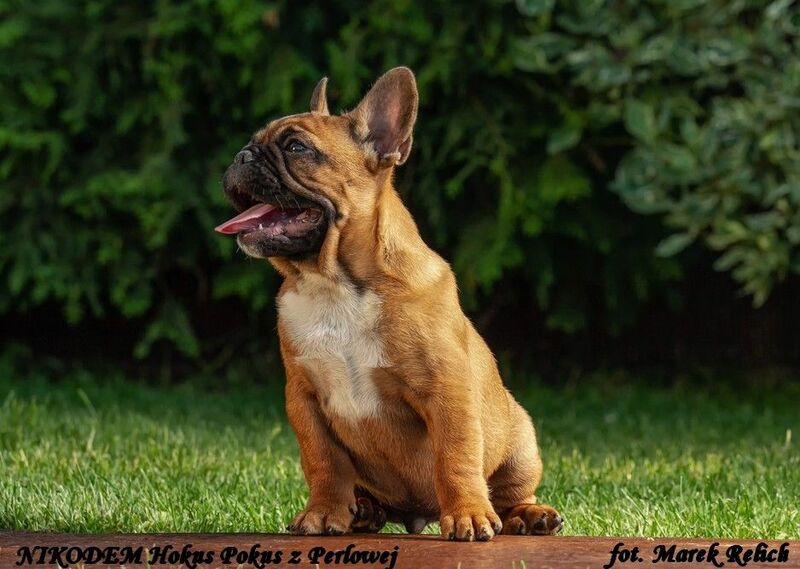 KARMA Hokus Pokus z Perłowej SL intermediate class: excellent, CAC, Best female, BOS. 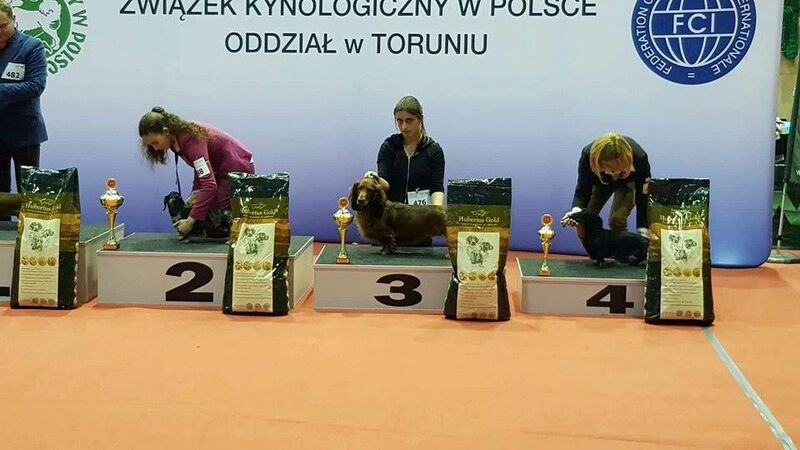 KARMA Hokus Pokus z Perłowej SL intermediate class, exc, 1 place, CAC, CACIB, BOB and BOG 1 !!!! 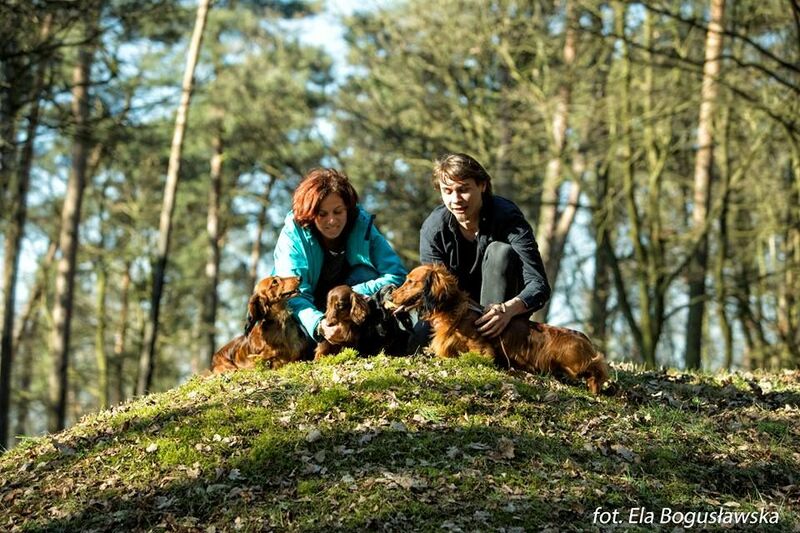 Thank you Lidia for the company and wonderful time spent together. 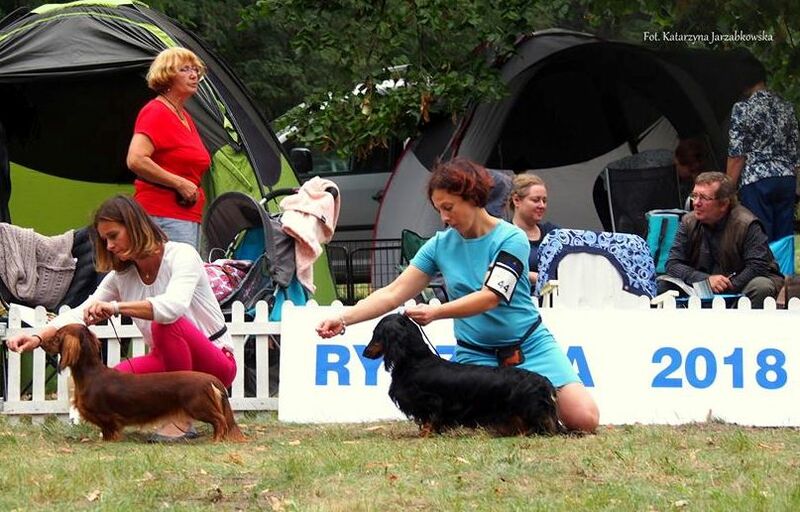 I'm so happy that I could meet my friends and our lovely babies. 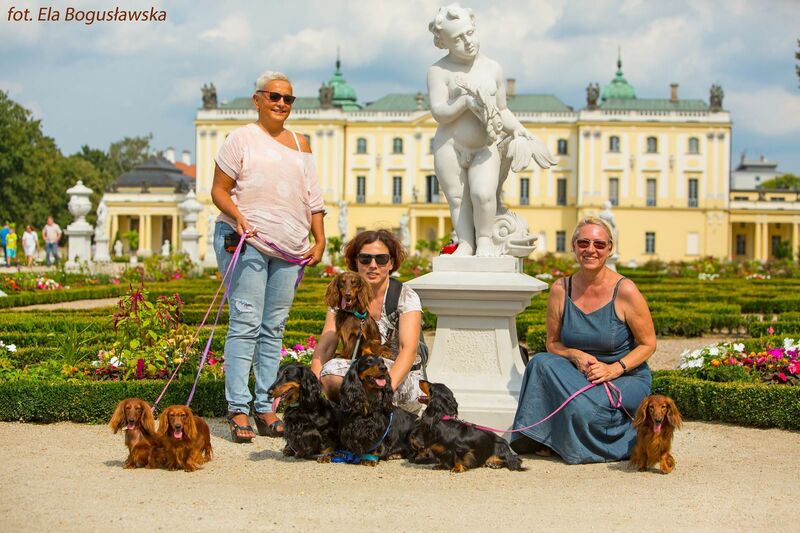 Lidia Grzeszkiewicz-Kotlewska thank you for lovely meeting :-), Ela Bogusławska-Przybysz thank you for our trip, beautiful photos and the opportunity to spend time together :-). 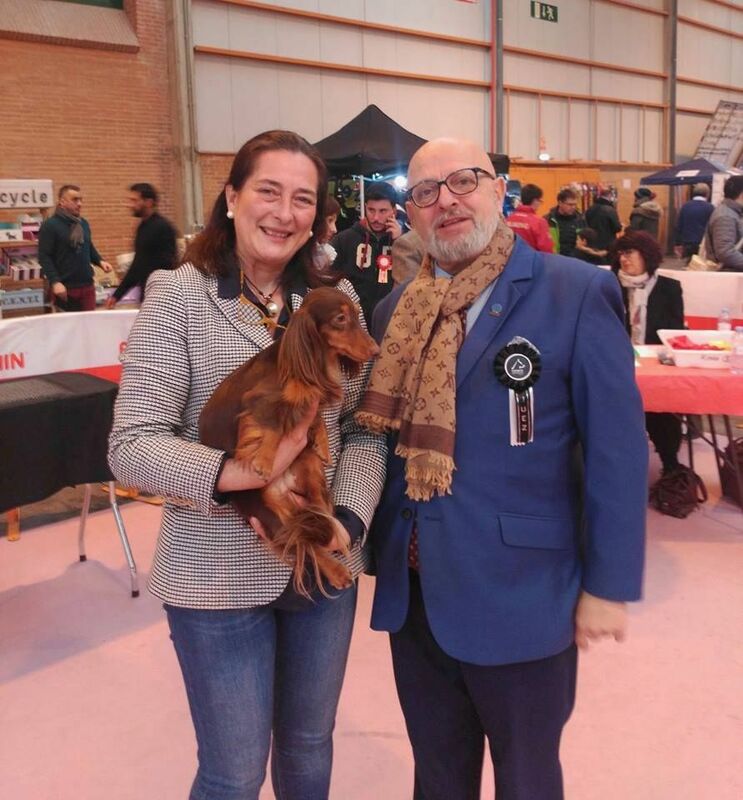 NDS i IDS ZARAGOZA'18 - PYRENEES ARAGON WINNER.